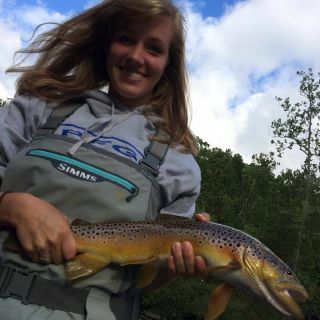 Welcome and thank you for visiting the home of Keystone Anglers Guide Service. 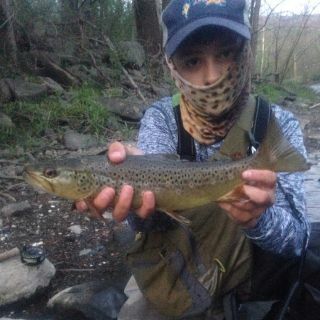 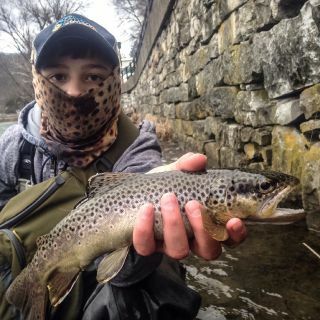 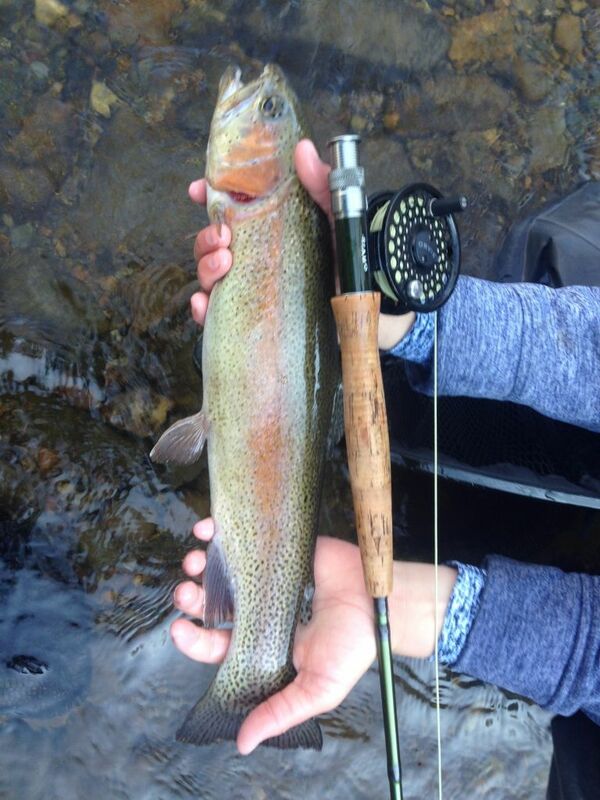 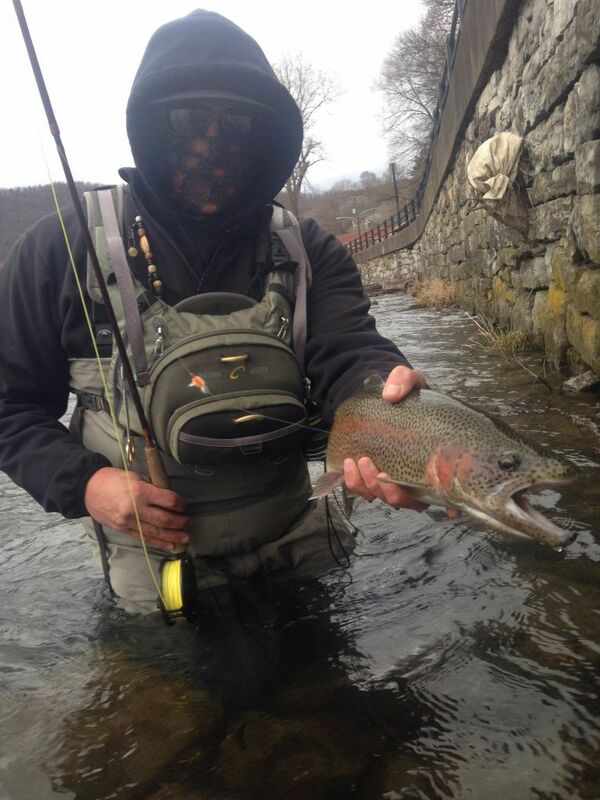 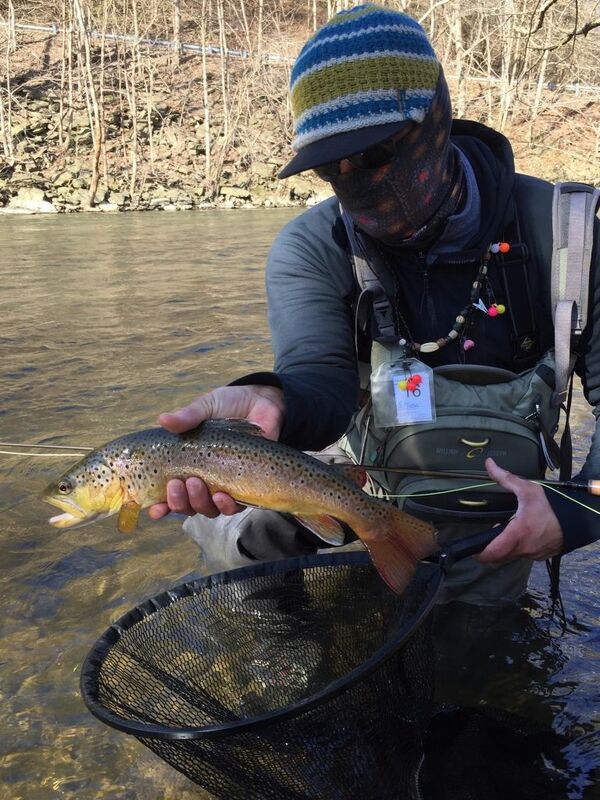 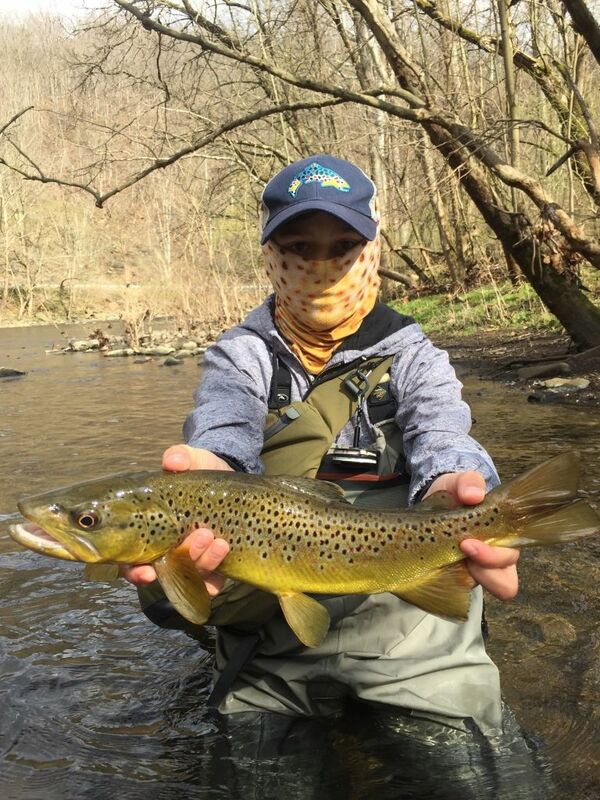 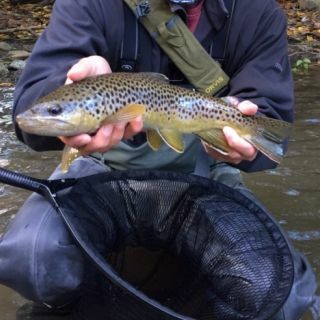 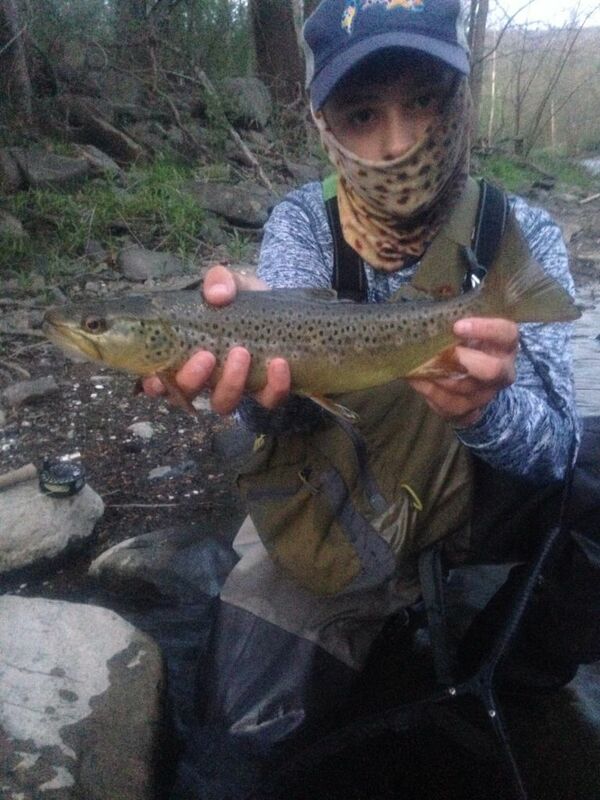 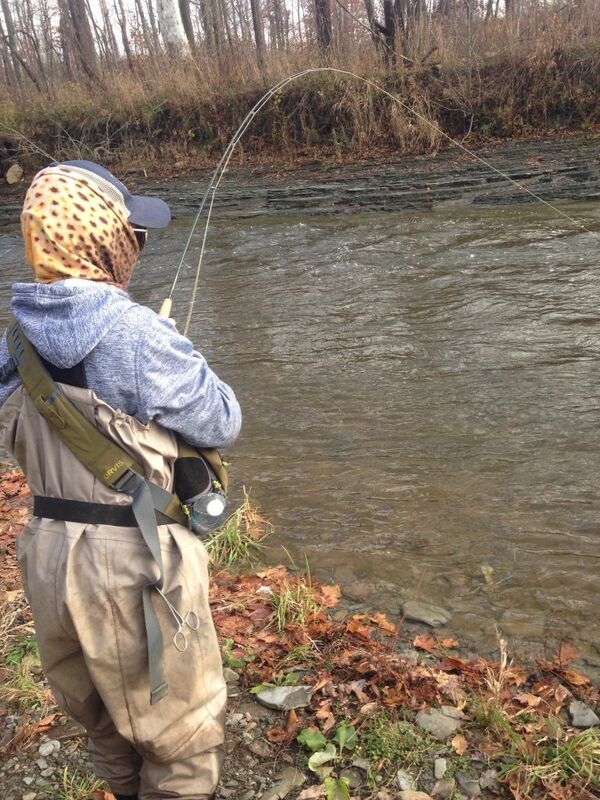 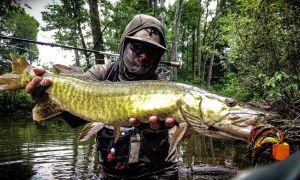 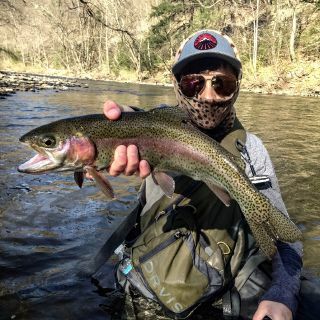 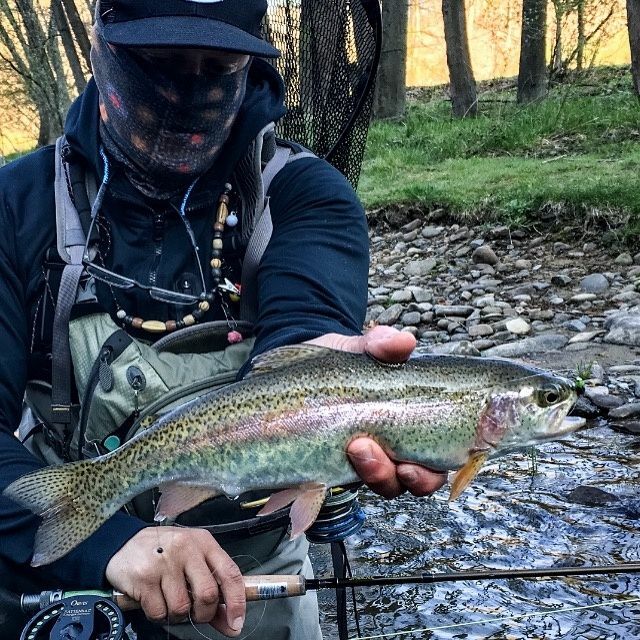 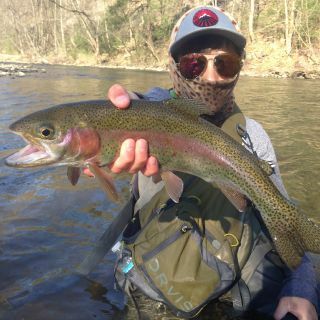 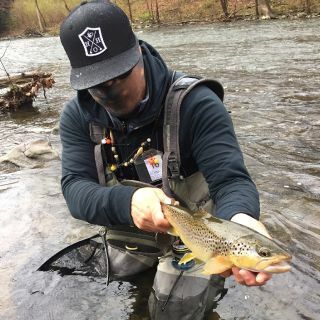 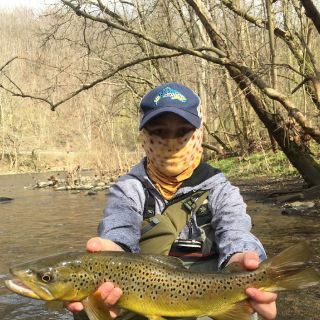 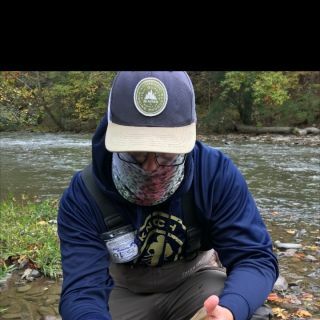 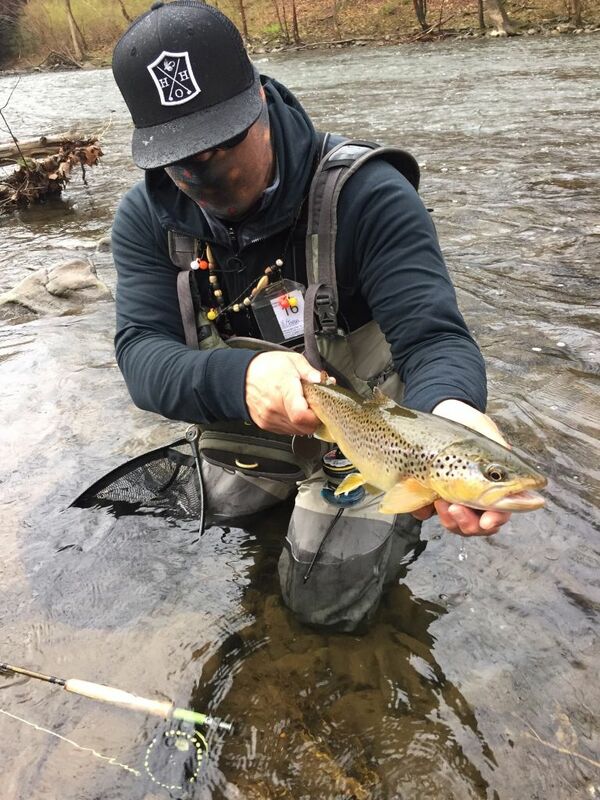 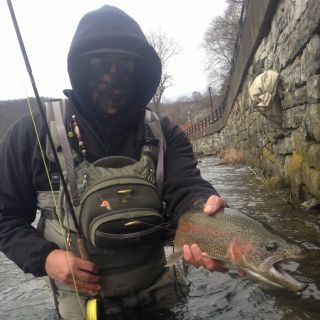 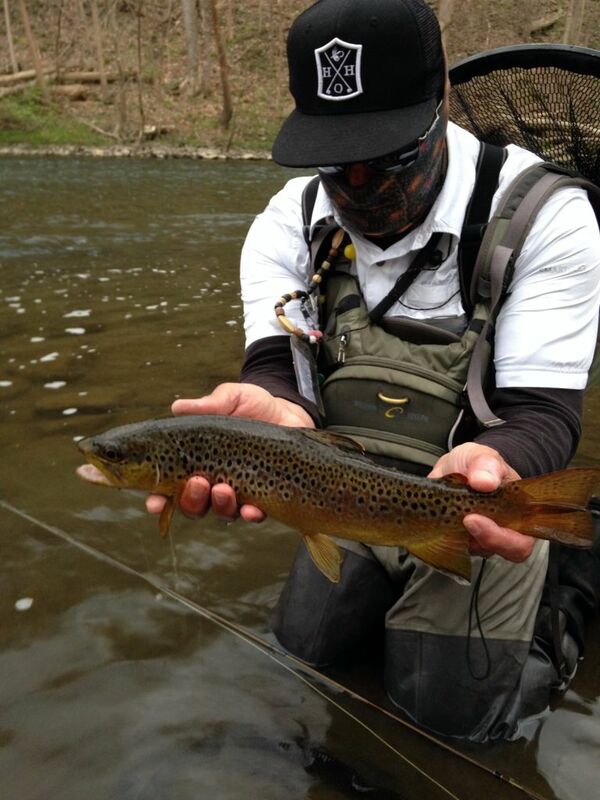 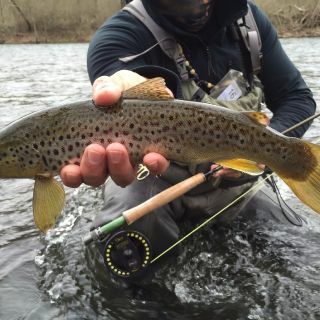 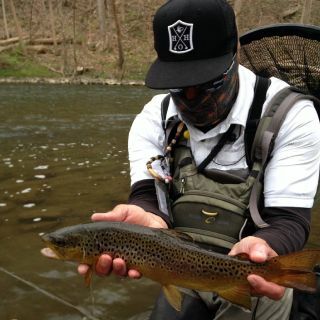 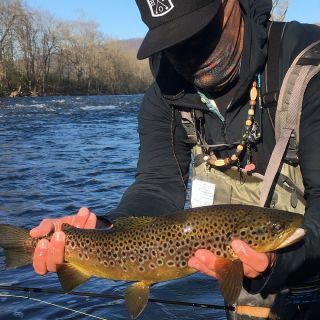 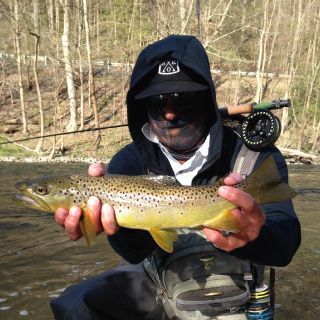 We are a group of experienced fly fishermen with the single most goal of sharing our passion for the great fly fishing that Pennsylvania has to offer. 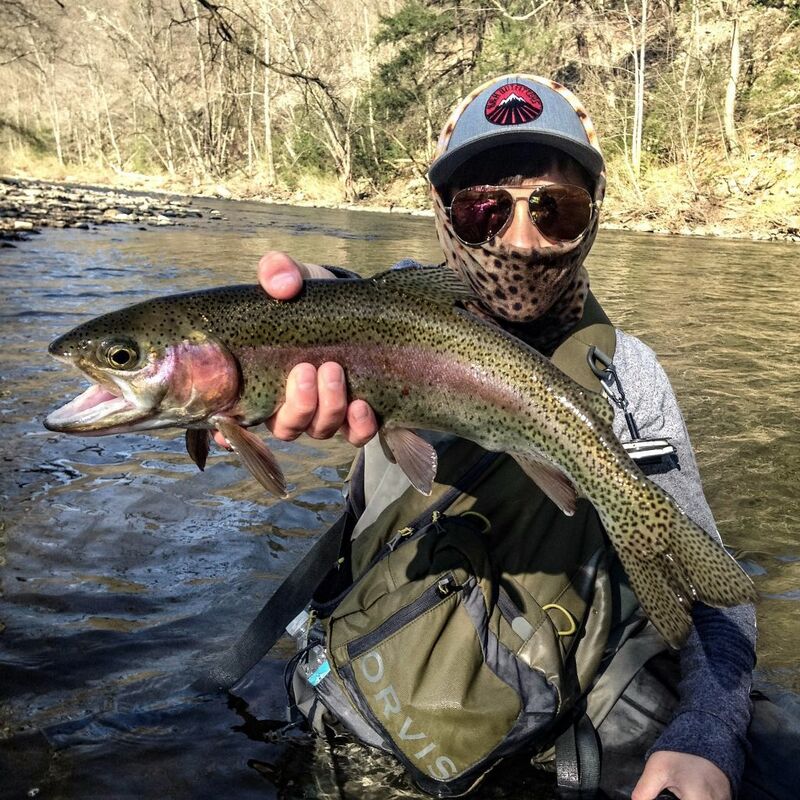 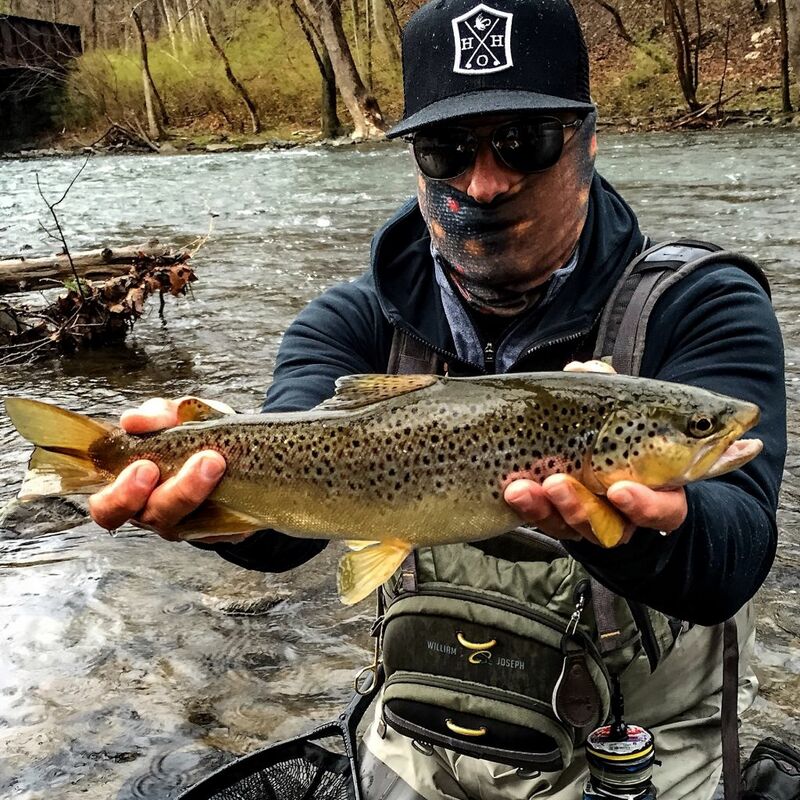 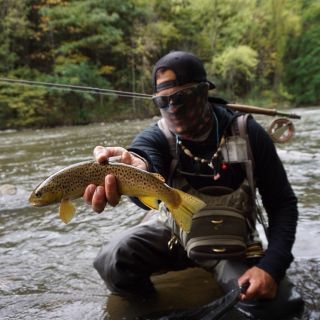 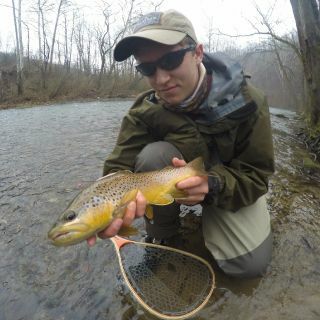 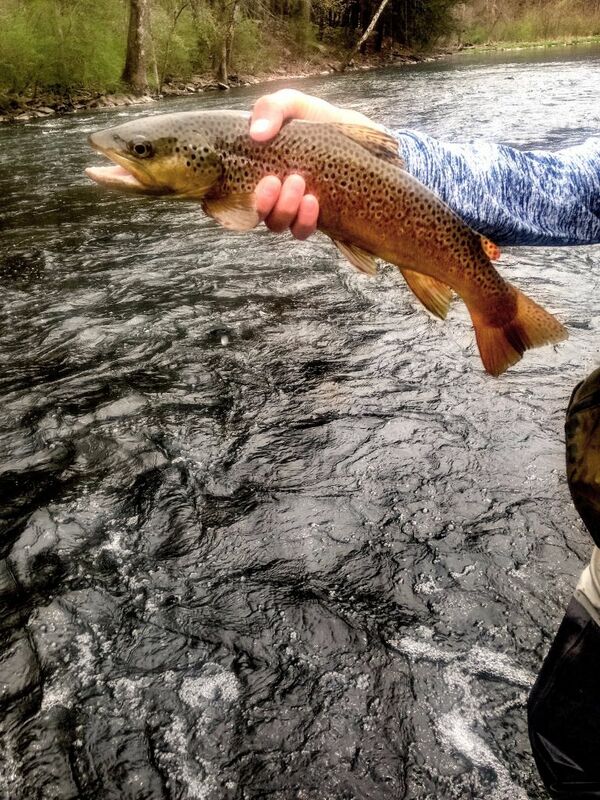 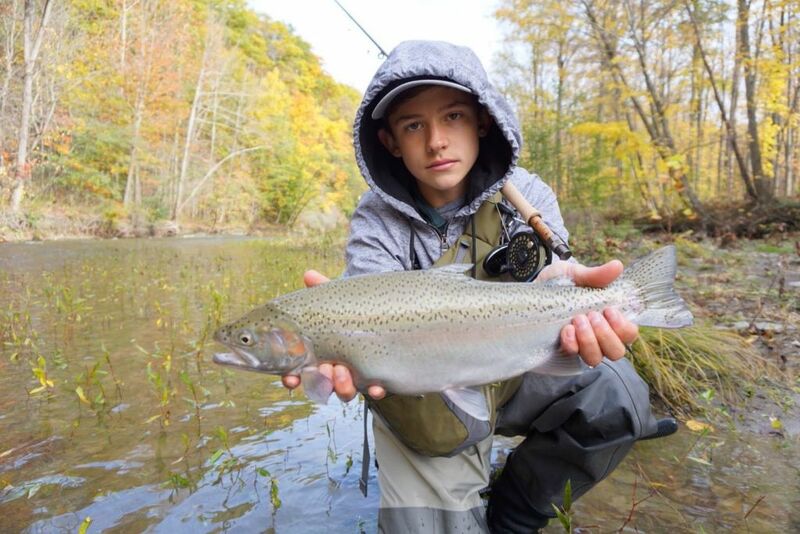 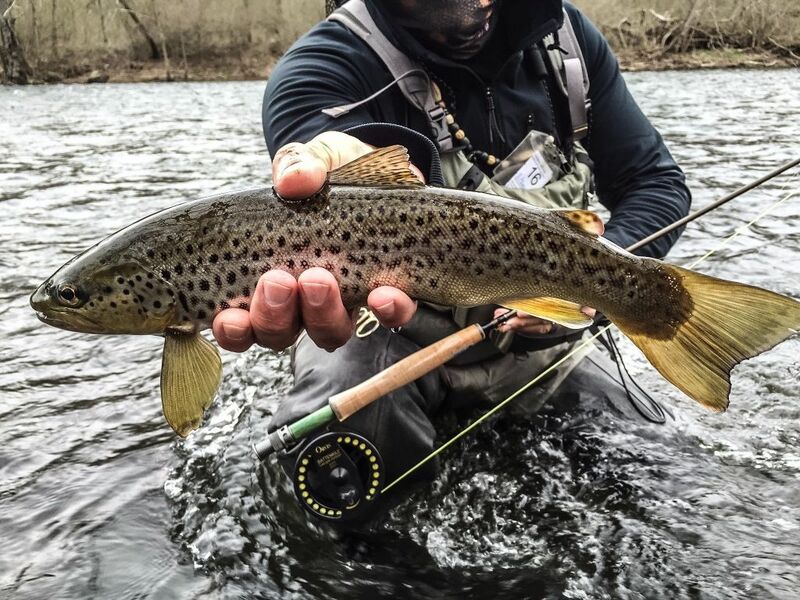 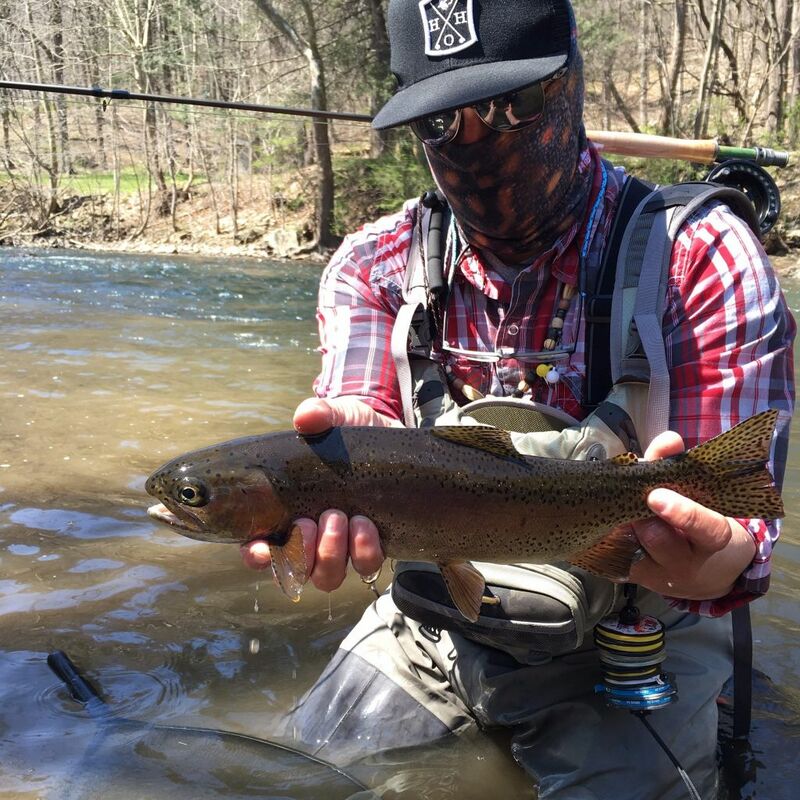 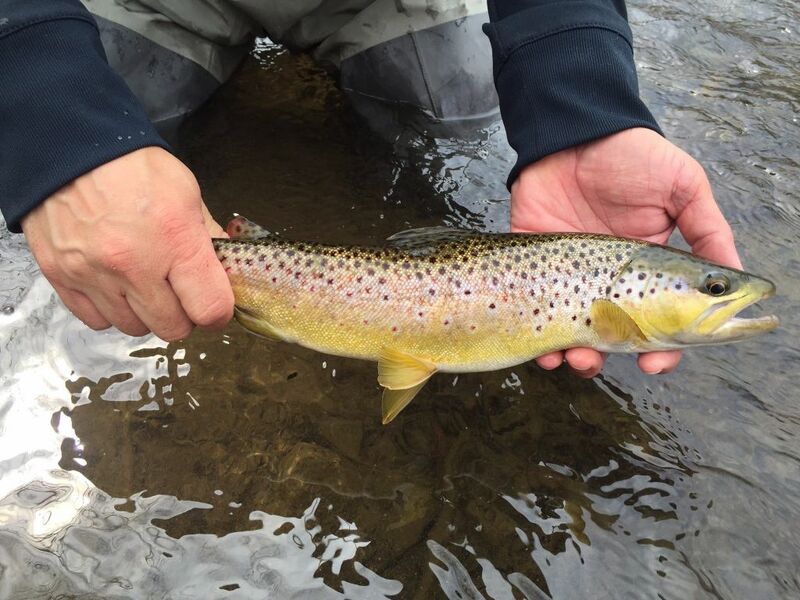 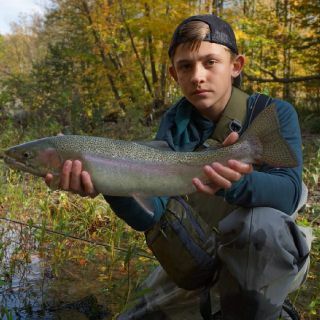 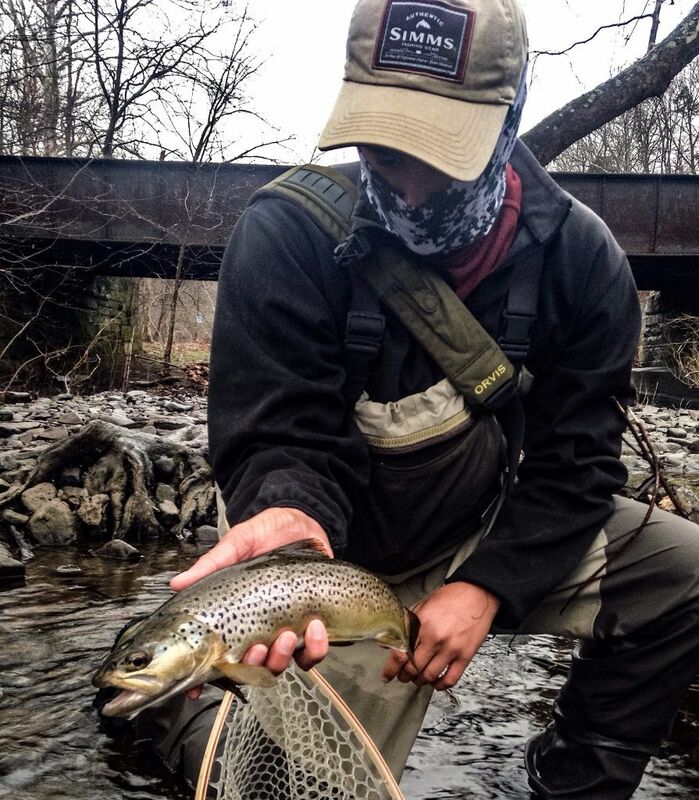 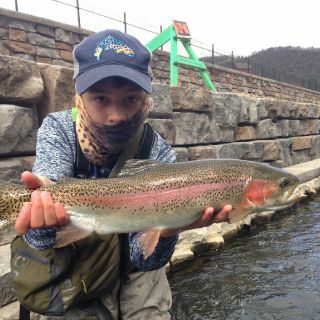 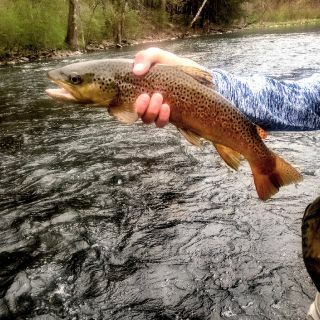 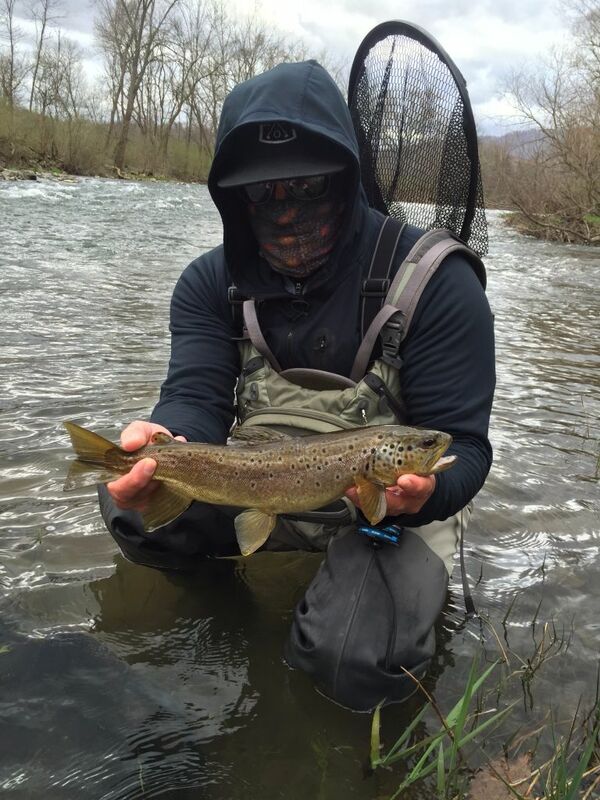 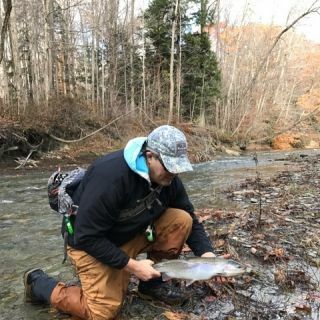 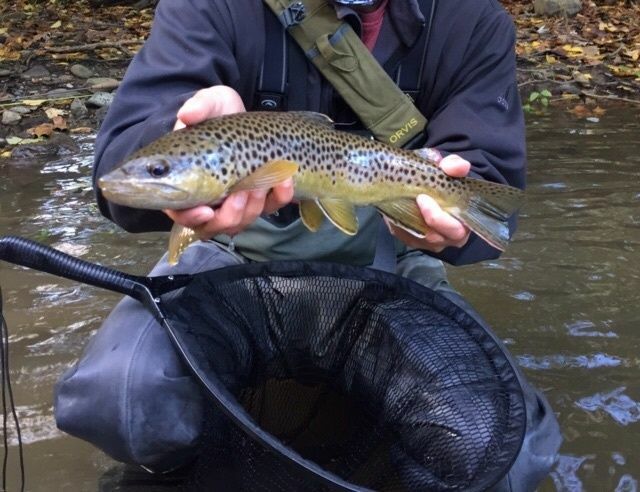 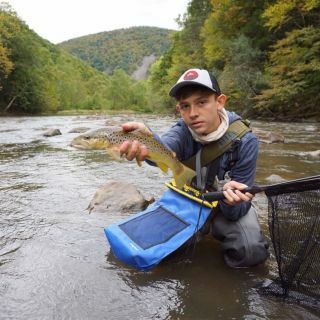 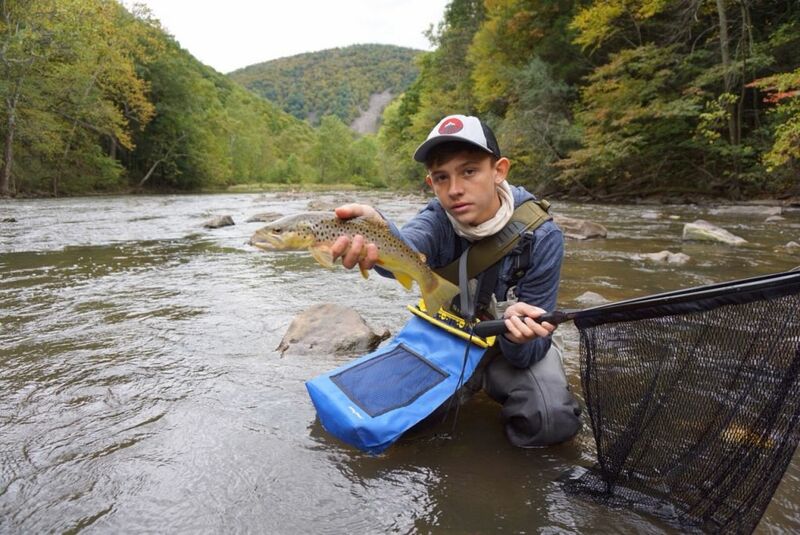 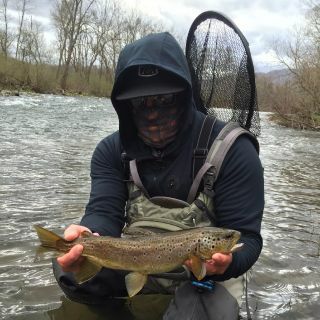 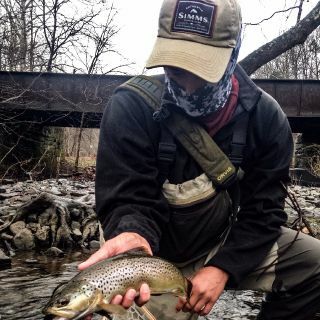 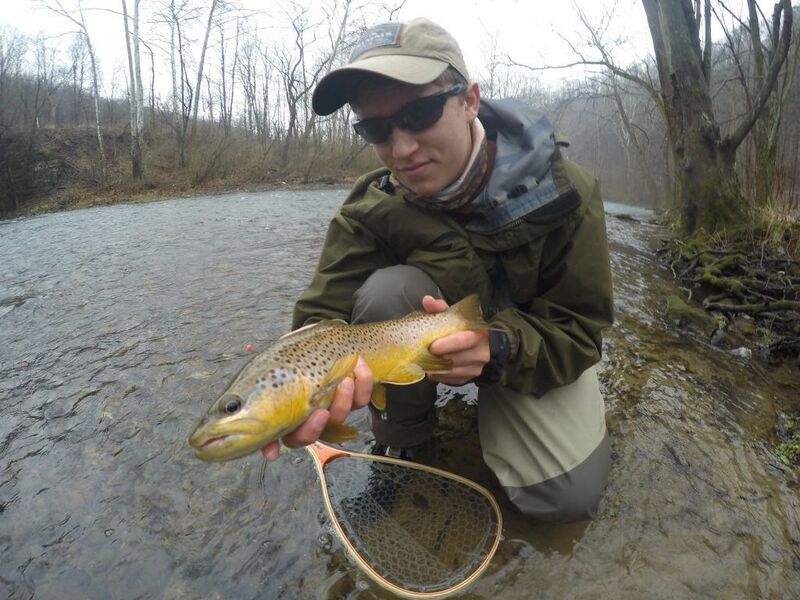 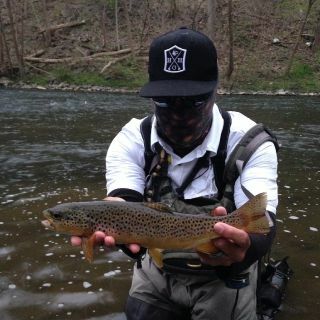 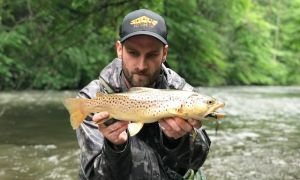 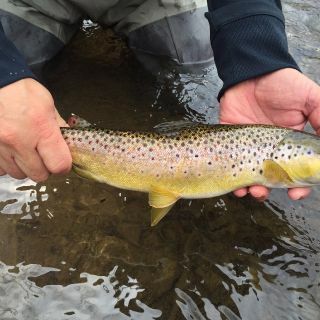 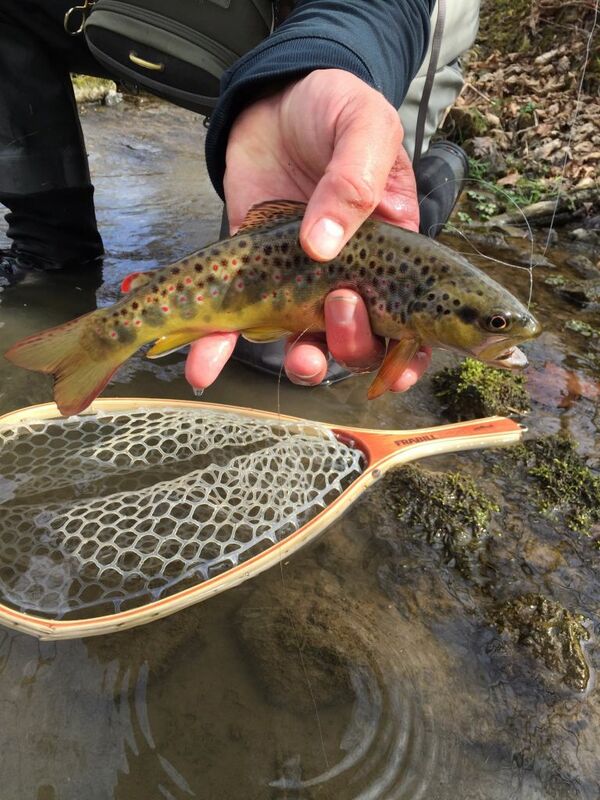 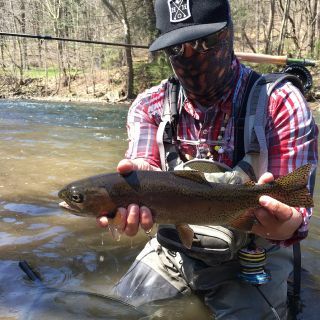 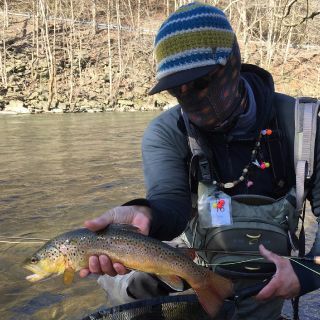 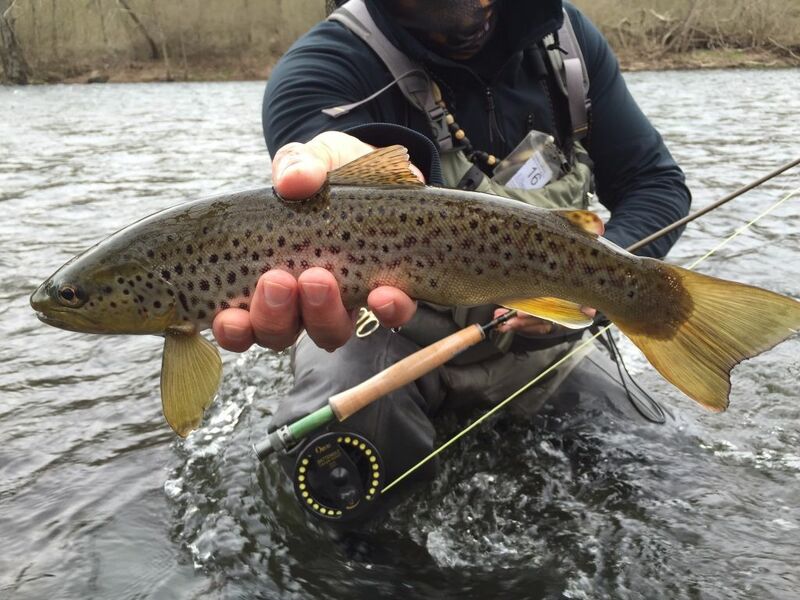 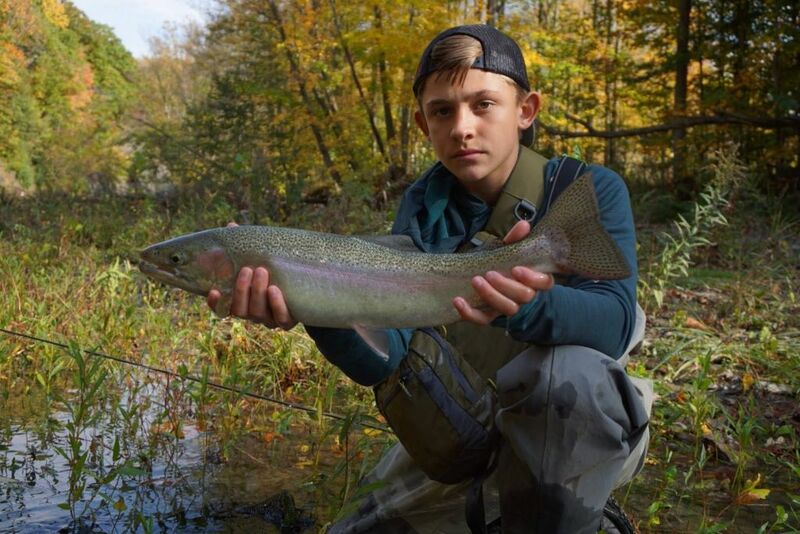 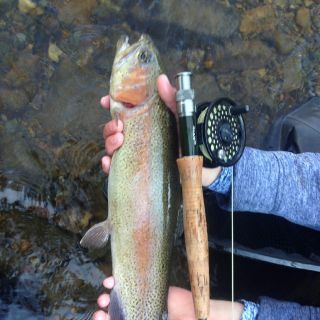 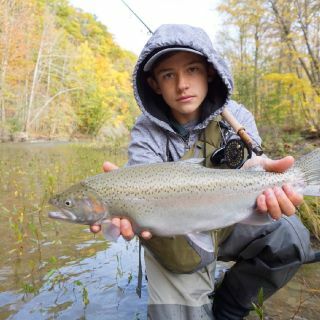 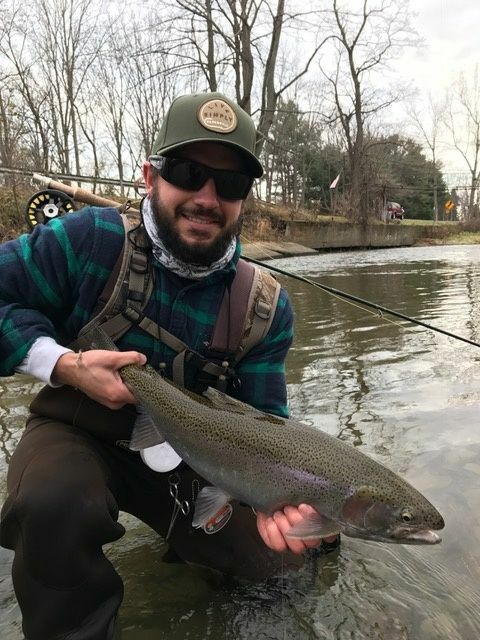 Whether it's Fly Fishing for Bass and Musky in the Lehigh Valley, Steelhead Trout in the Lake Erie tribs, or Wild streambred Trout in the fabled Limestone waters of Central Pa we have your fly fishing destination covered. 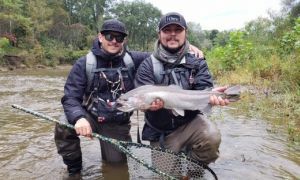 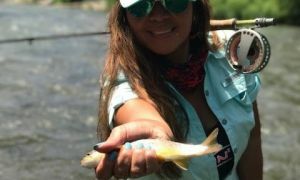 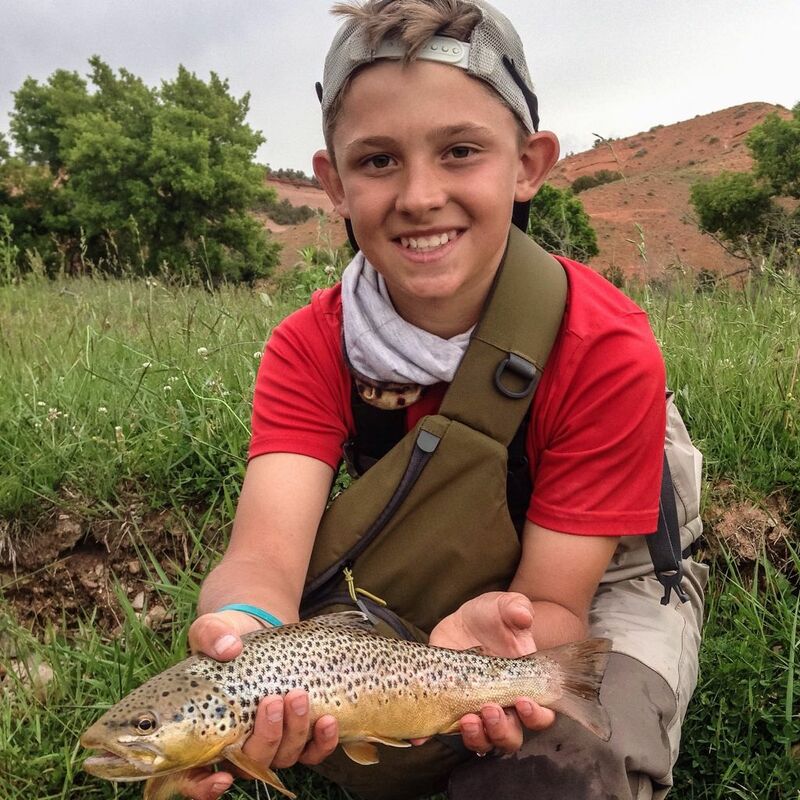 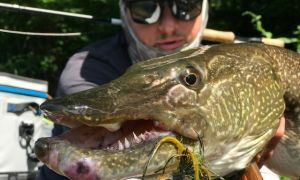 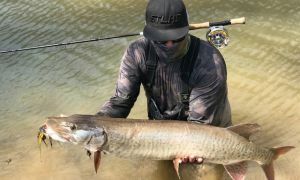 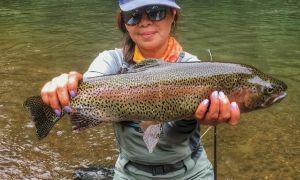 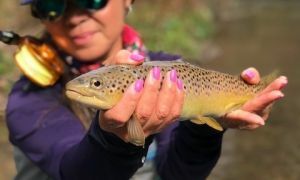 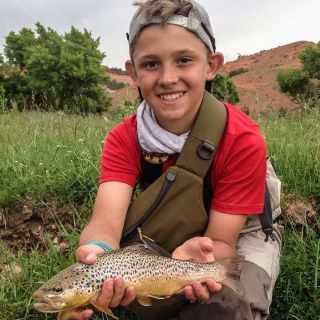 Our Guide service caters to the experienced fly fisherman who want to get off the beaten path to find fish or the novice who is just beginning in the sport. 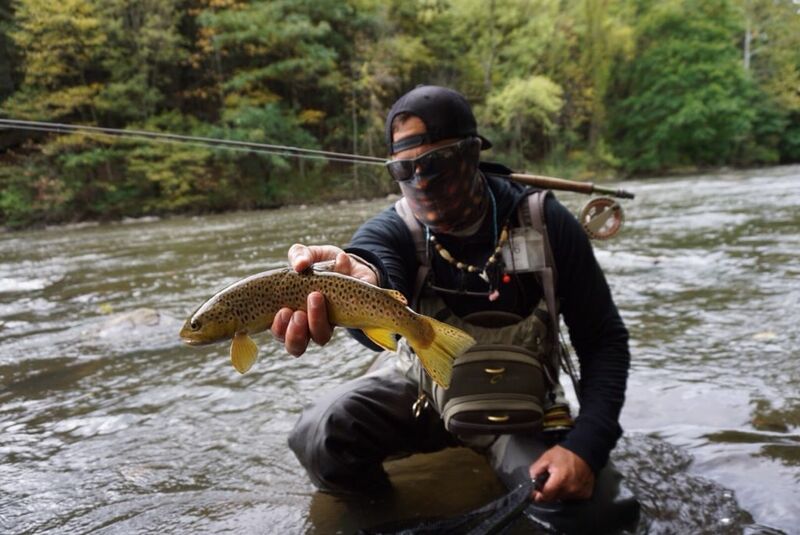 We tailor the trip to meet your needs. 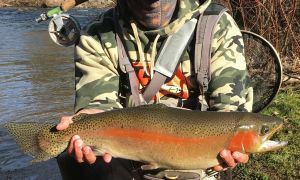 We are very intimate with the waters we take our guests to and we strive to give you the very best fly fishing experience possible. 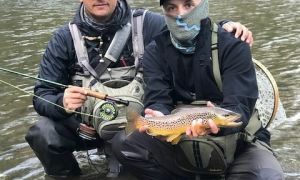 Please take a minute View more... to browse our trip options and don't hesitate to contact us with any questions. 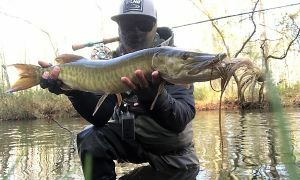 Again we thank you for you visit and consideration. 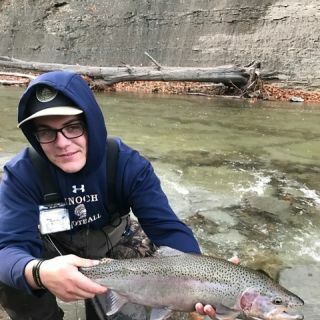 Third time is a charm! 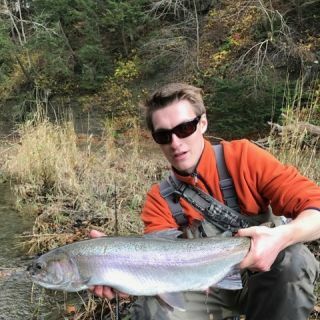 Went to Steelhead Alley for my first time but third time for Steelhead. 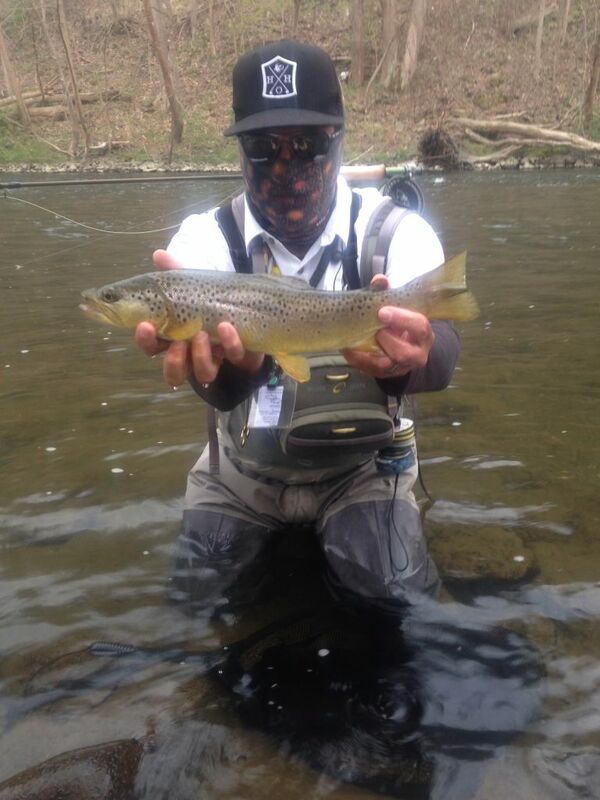 I hit a home run booking with Scott Grassi from Keystone Anglers! 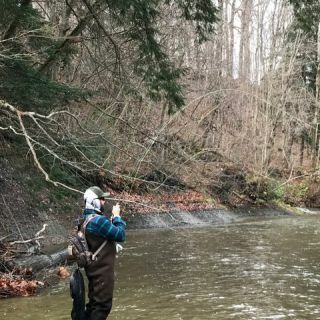 Scott knows the waters of the Alley, When , Where and How. 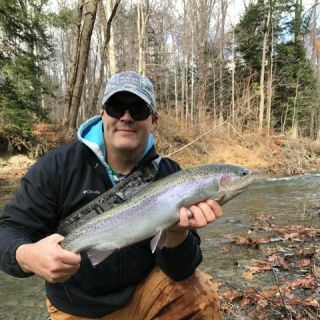 Scott is very personable and he puts you at ease with his knowledge and at the end of the day you will feel like a pro ,I know I did with over a dozen fish landed! 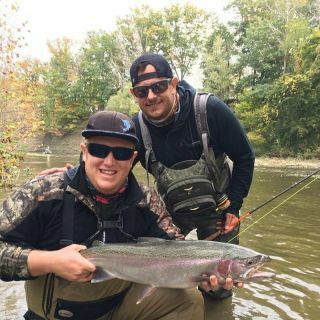 If your a novice or an experienced angler I would highly recommend spending a day or two with Scott, you won't be disappointed! 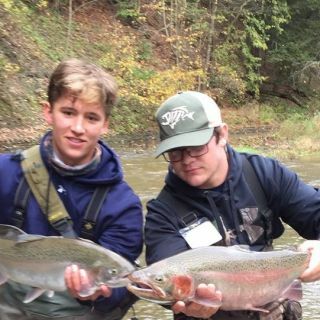 I wouldn't use anyone else for monster Steelhead and Brown Trout. 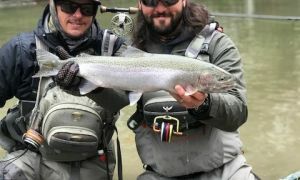 Master guide and a great gut too. 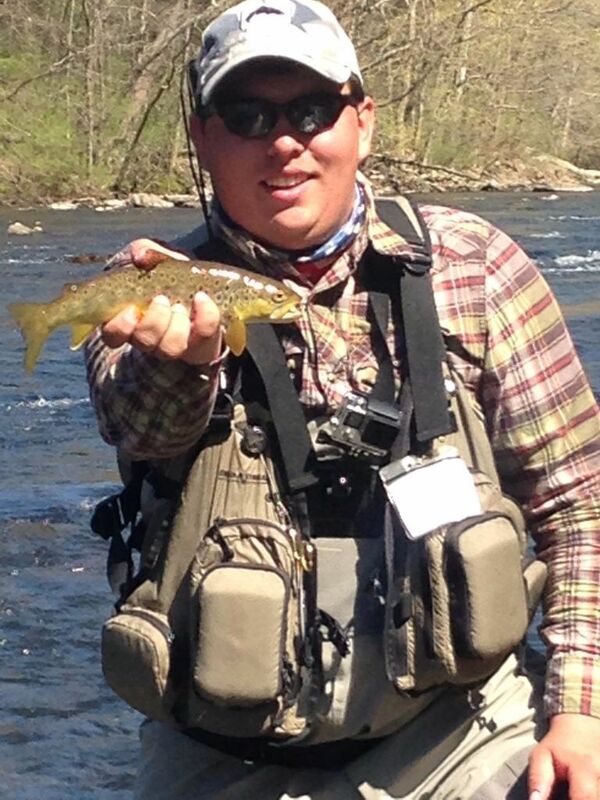 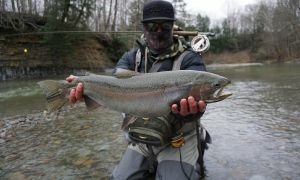 Scott knows the rivers inside out, puts you on fish and knows how to catch them. 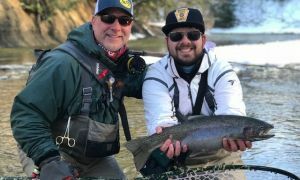 I always have a great time fishing with Keystone Anglers. 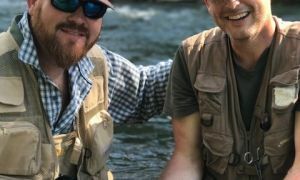 How likely are you to recommend this Outfitter to a friend. 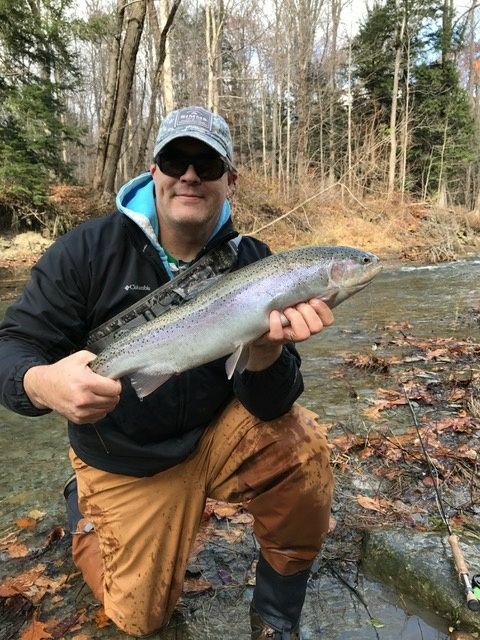 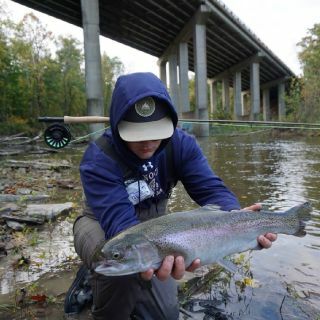 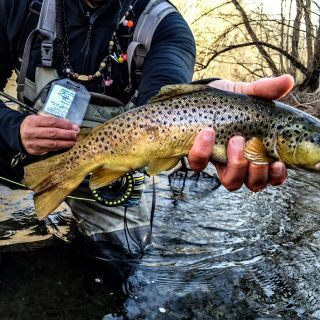 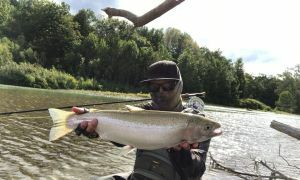 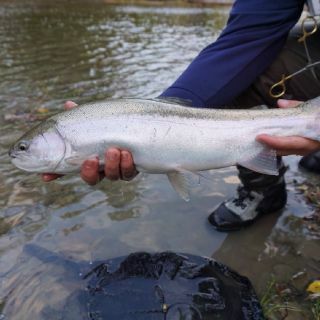 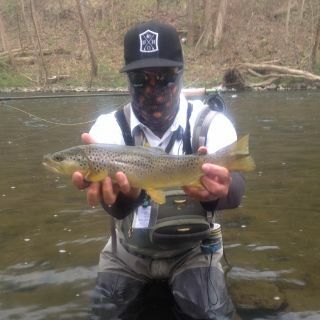 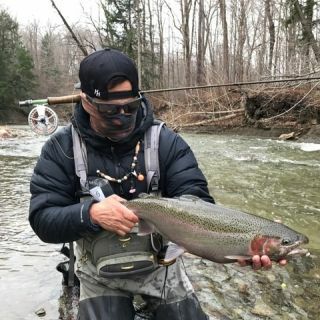 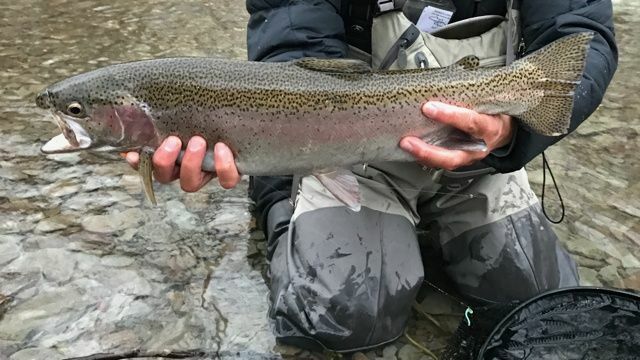 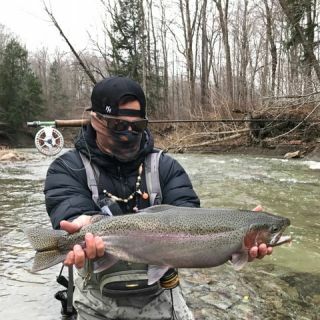 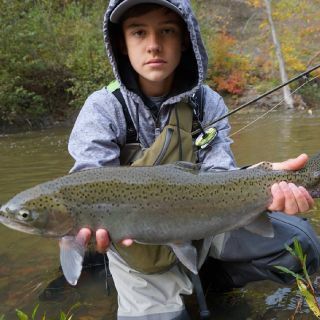 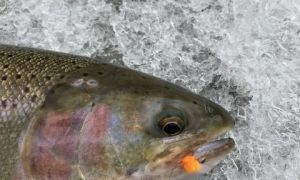 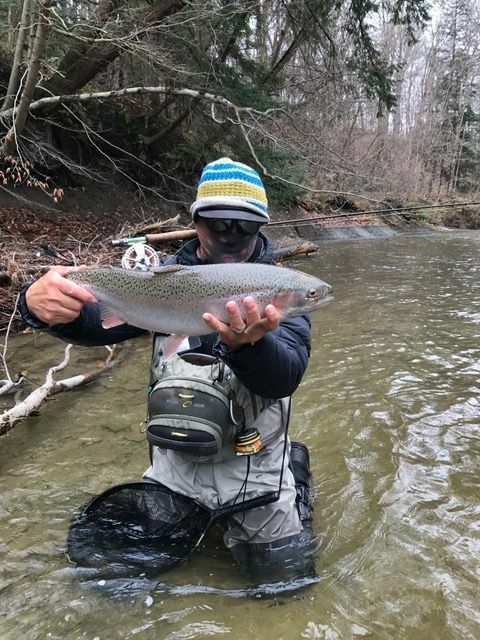 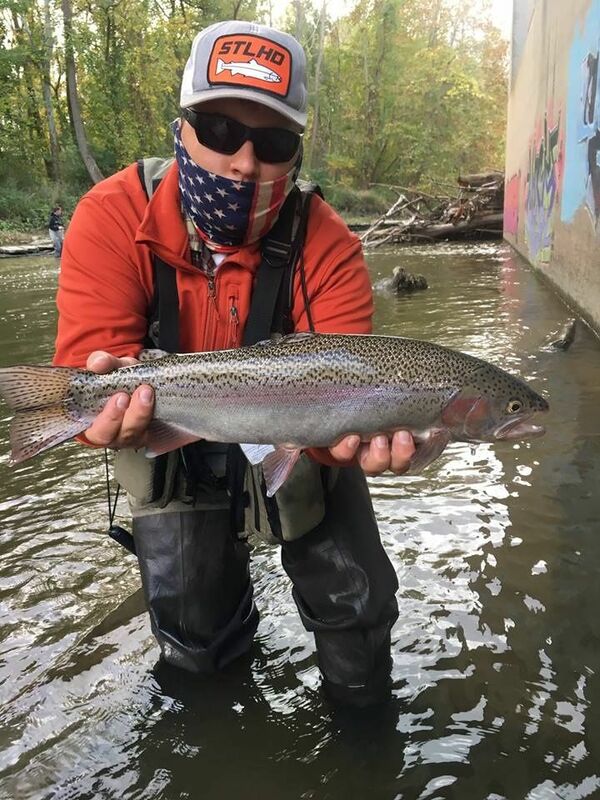 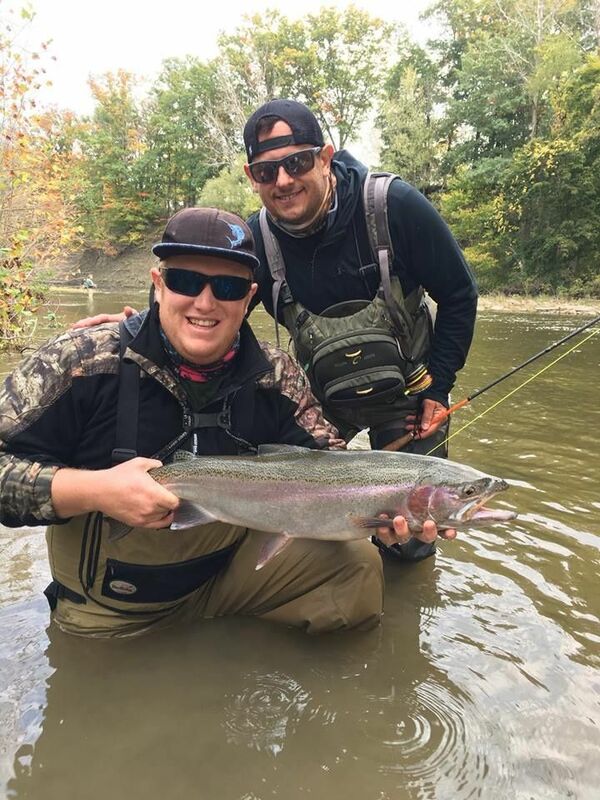 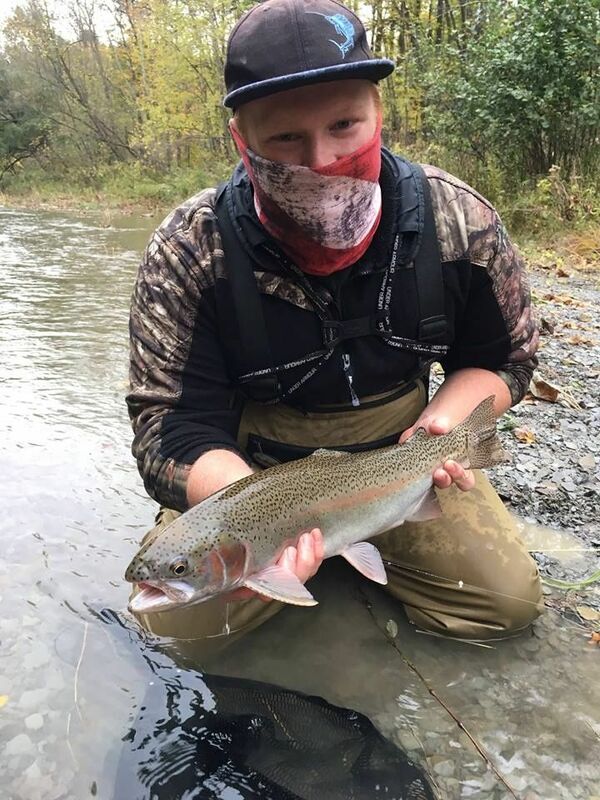 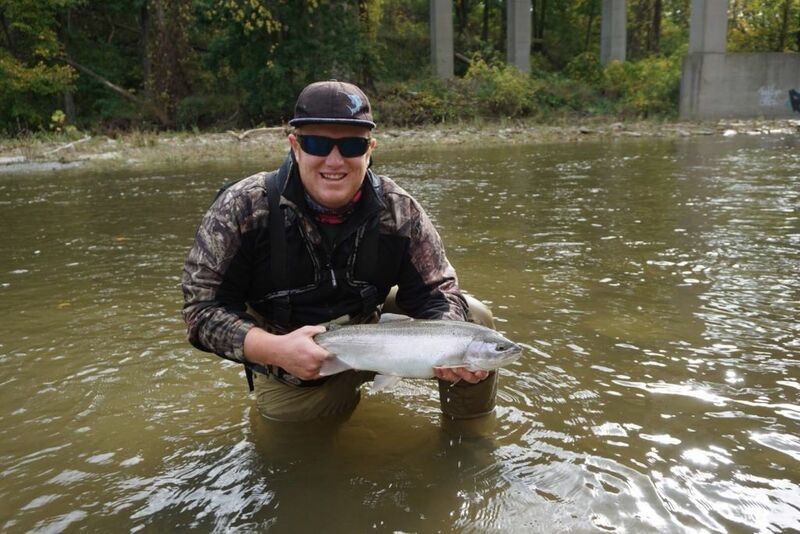 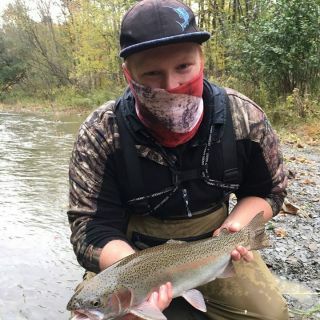 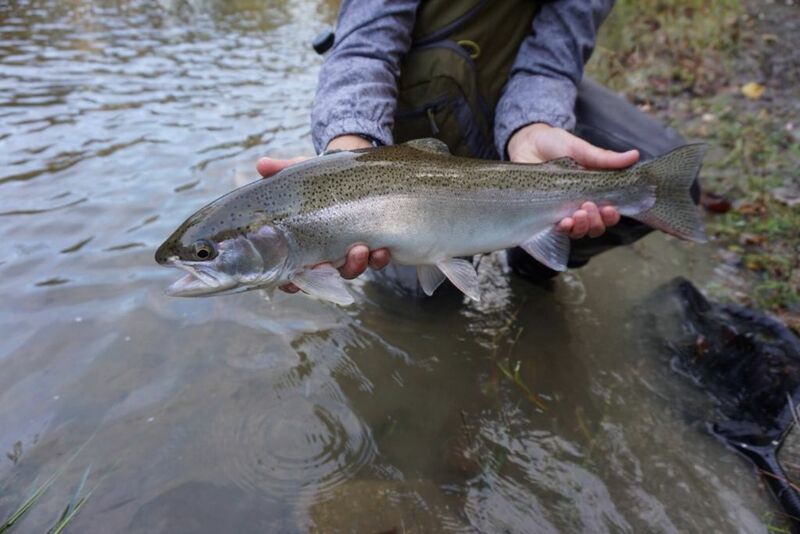 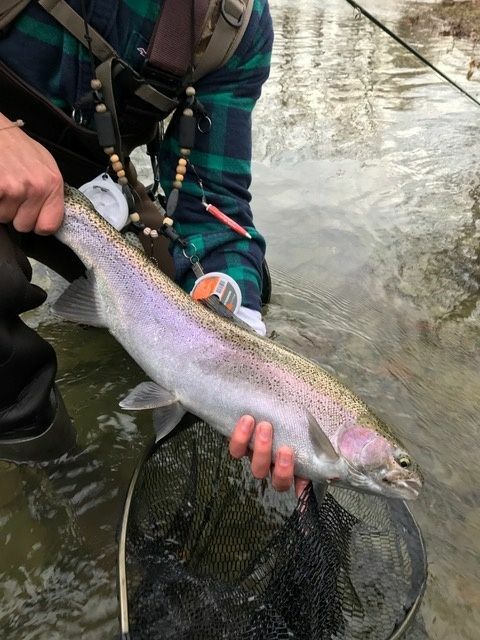 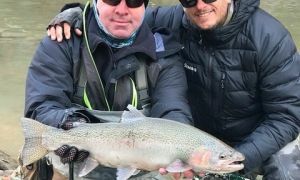 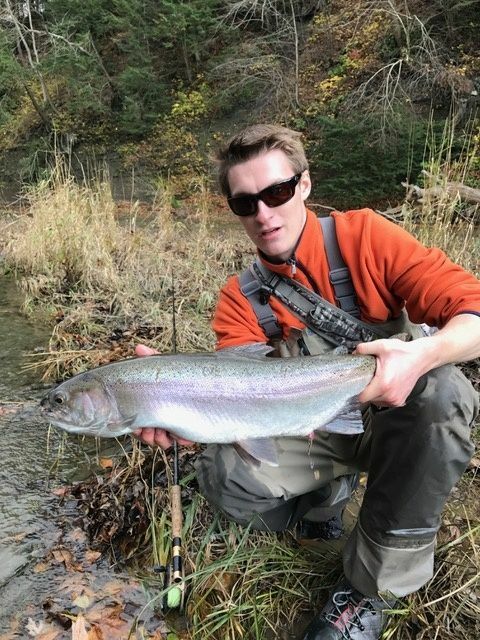 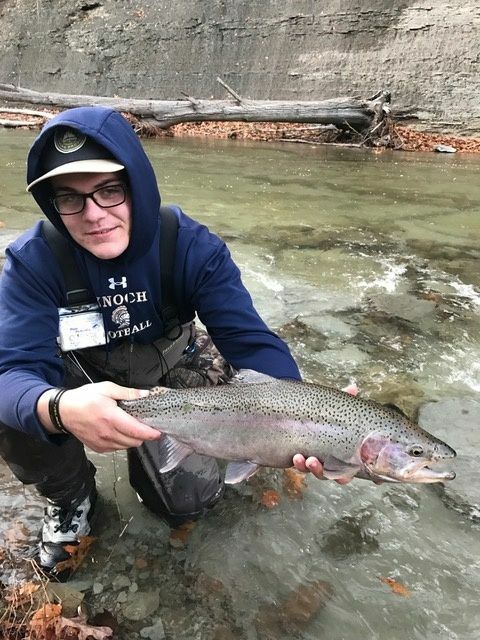 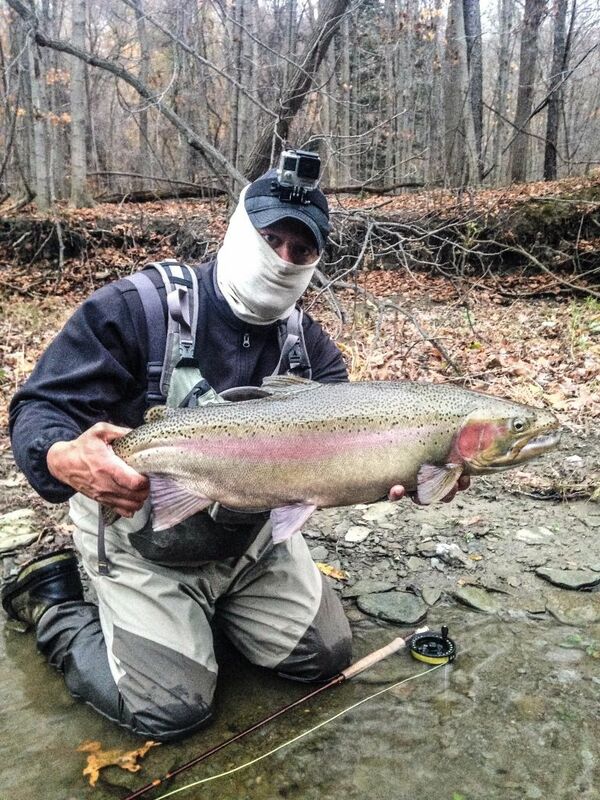 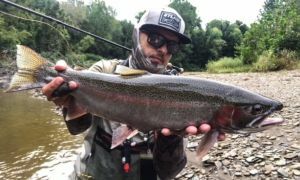 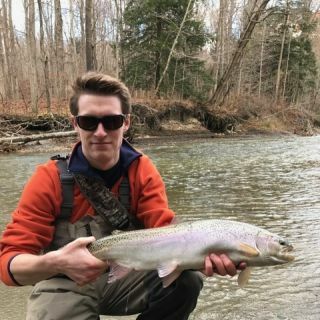 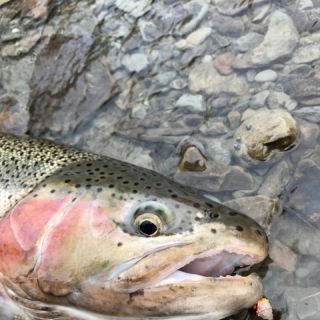 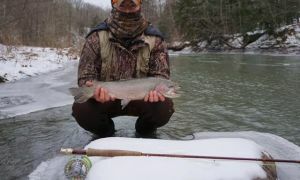 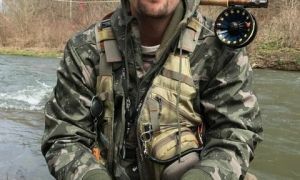 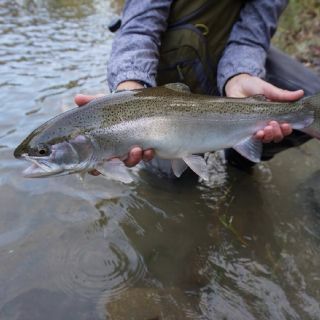 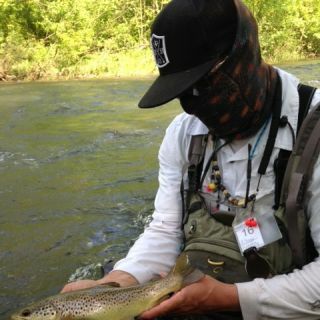 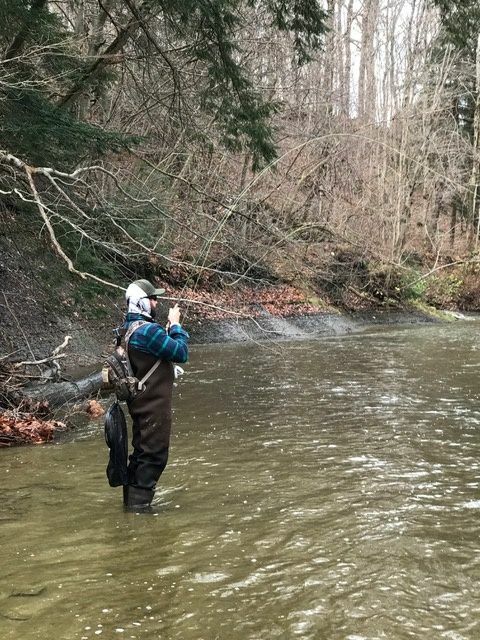 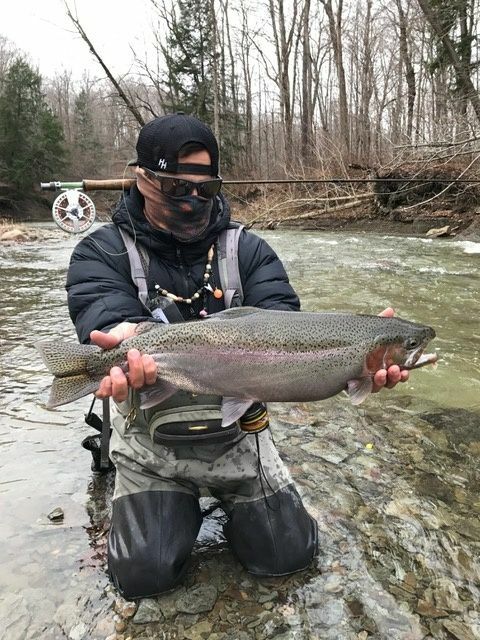 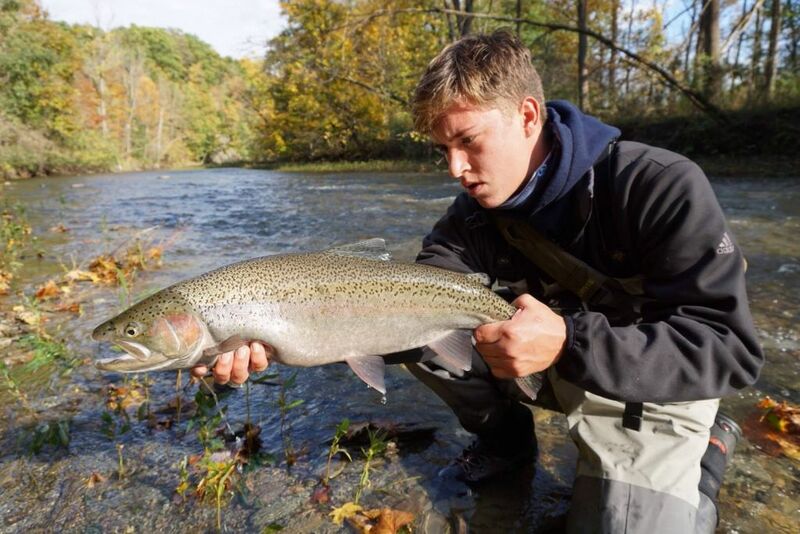 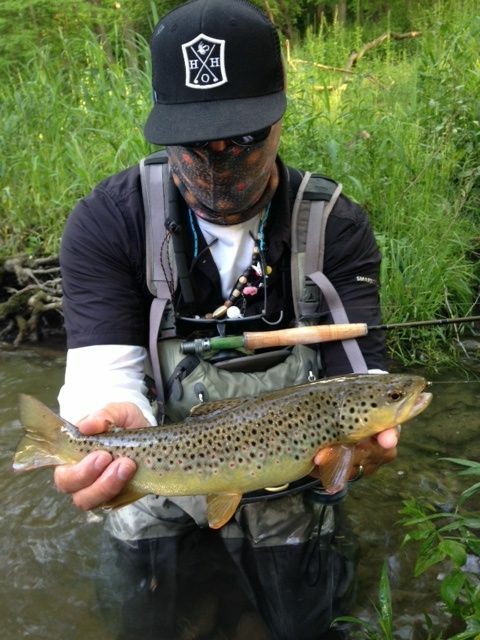 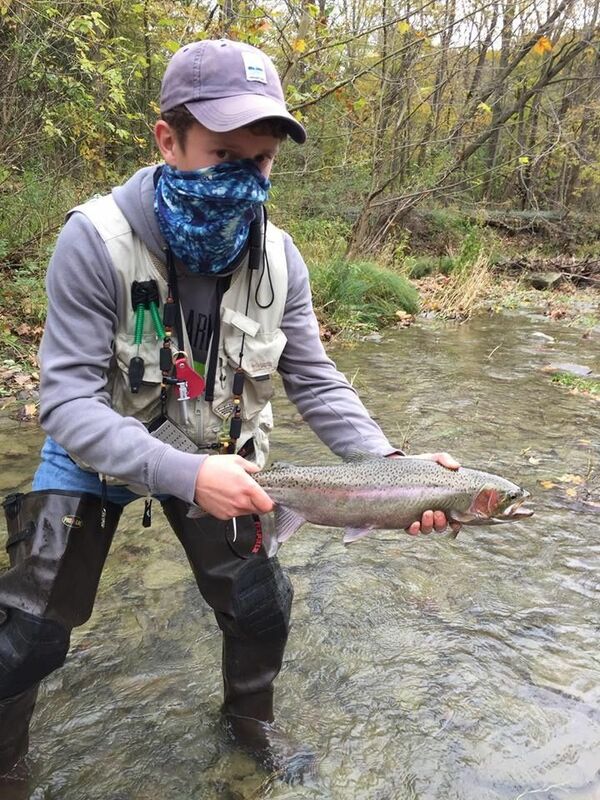 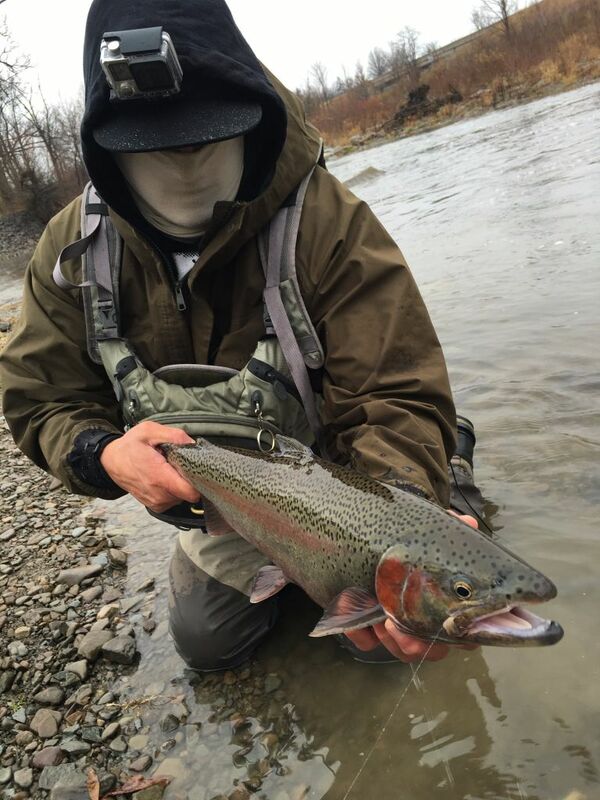 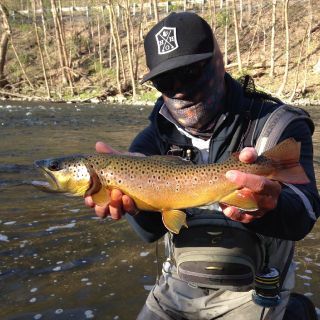 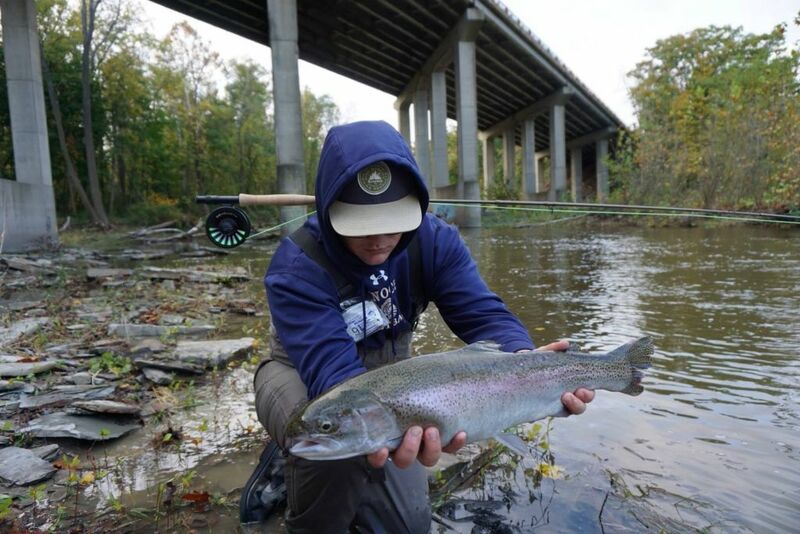 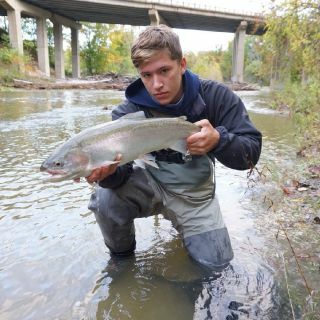 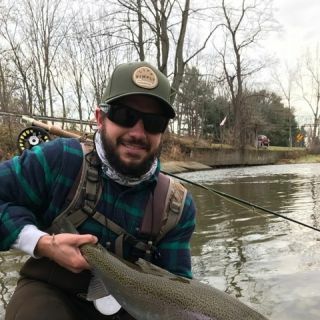 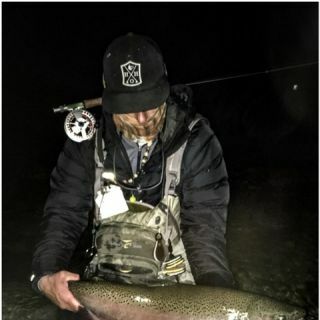 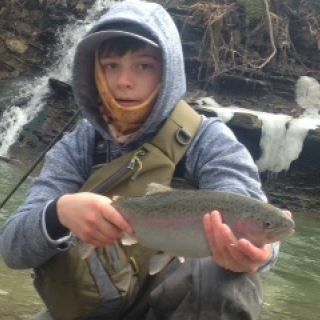 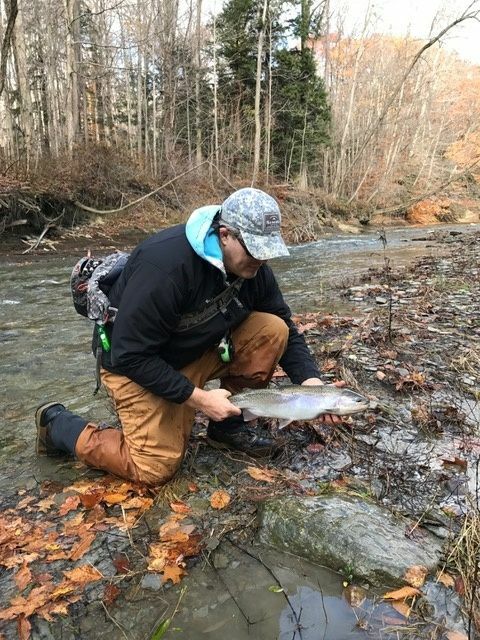 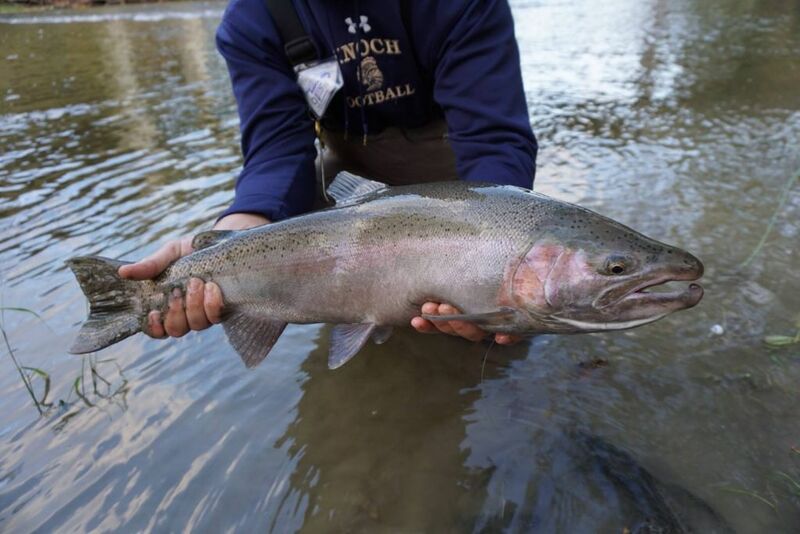 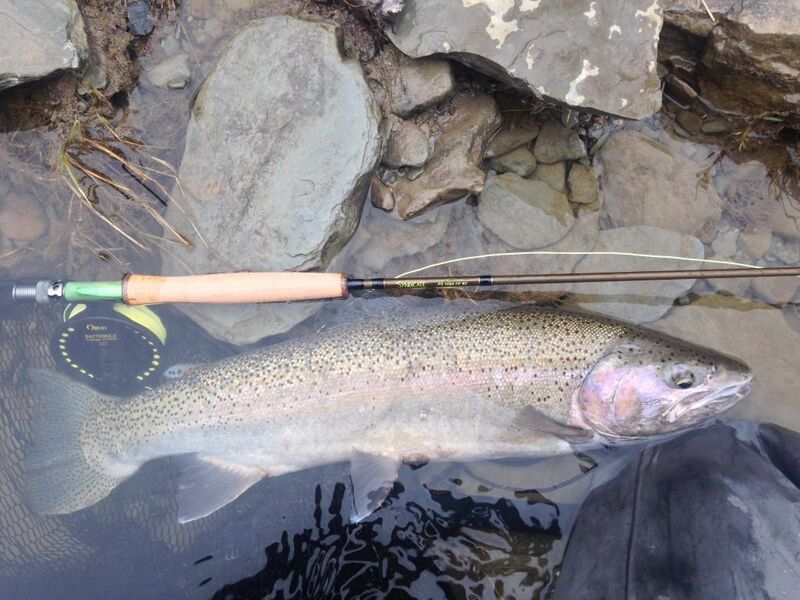 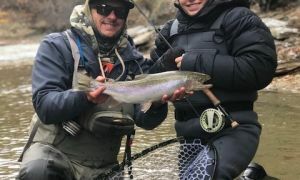 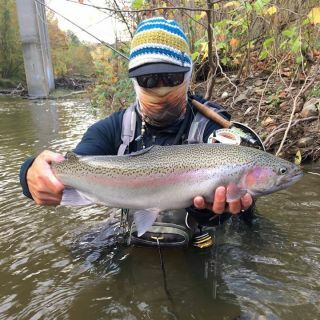 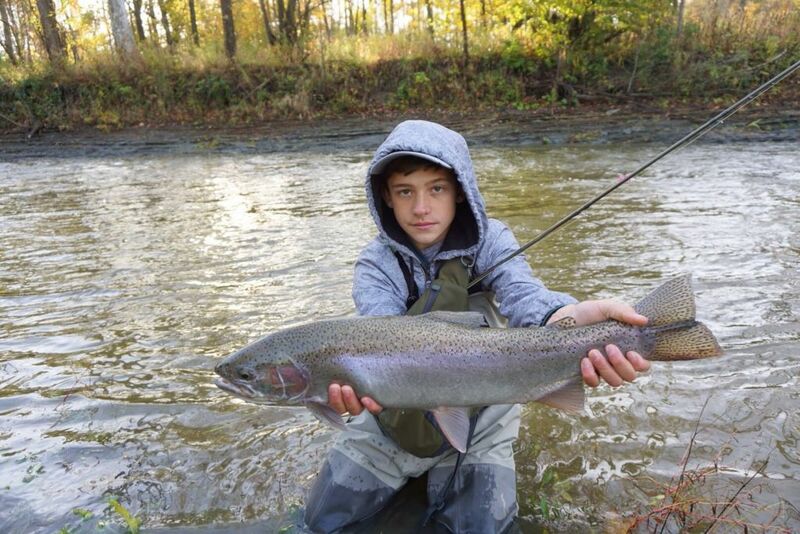 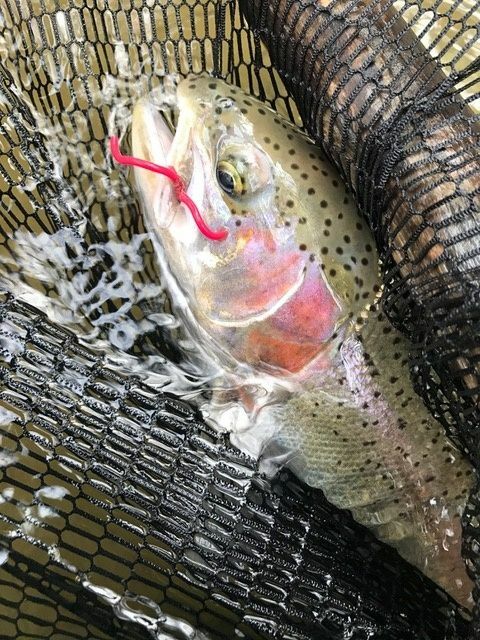 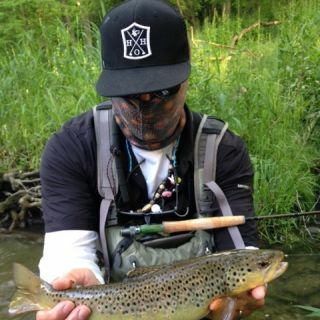 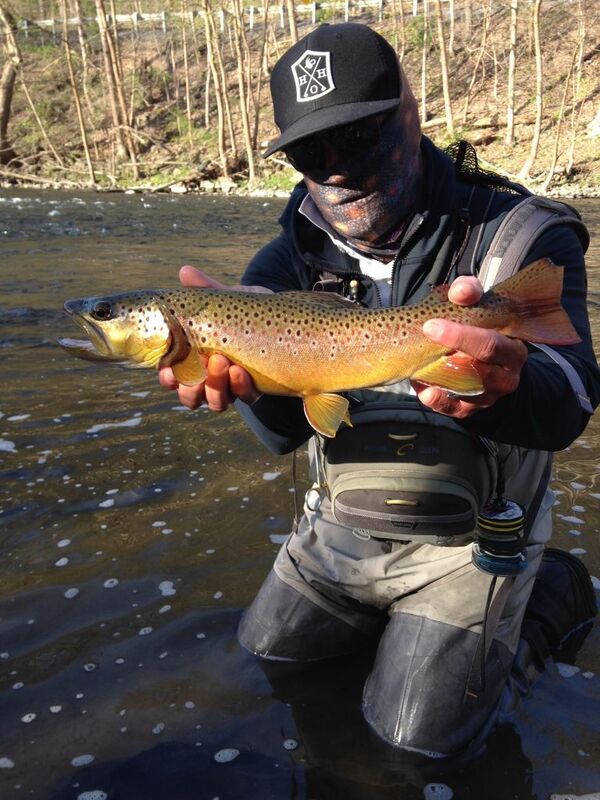 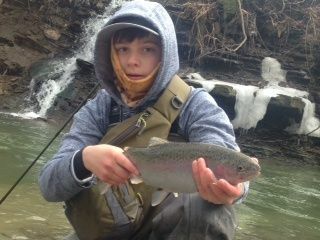 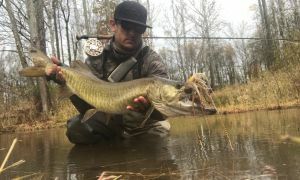 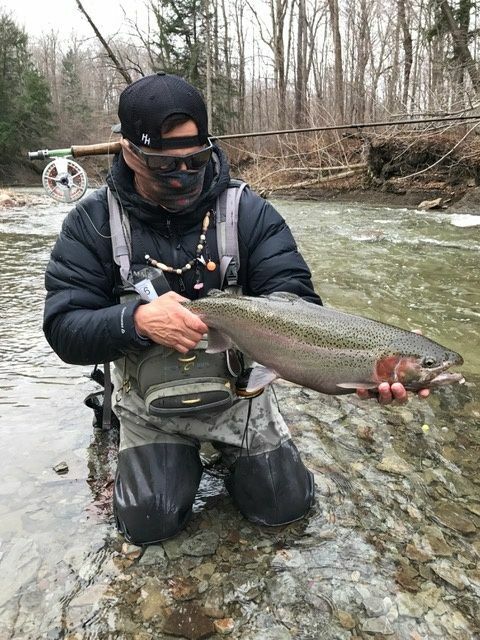 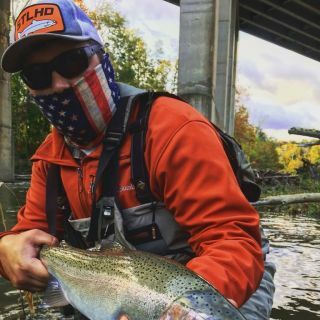 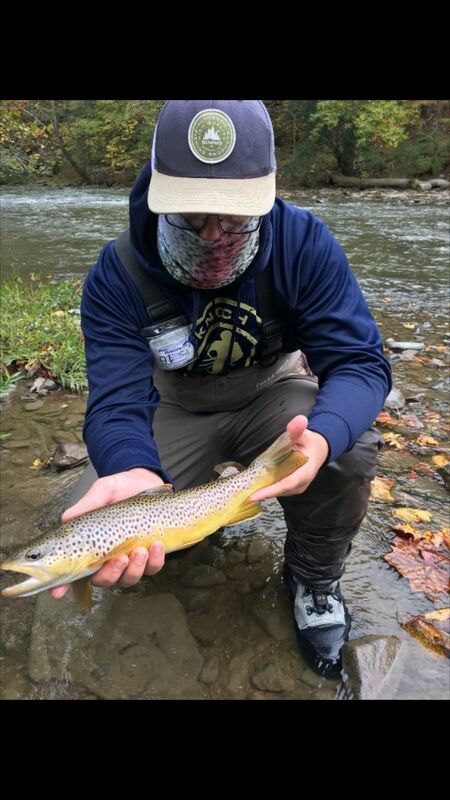 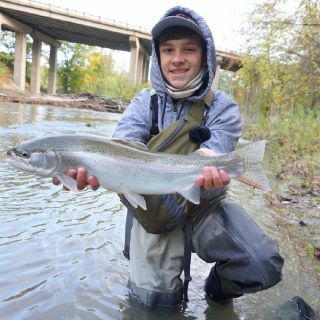 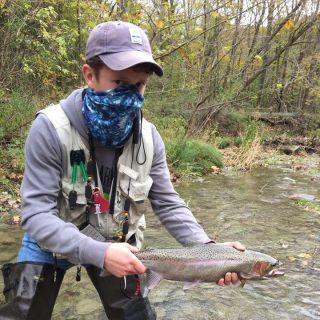 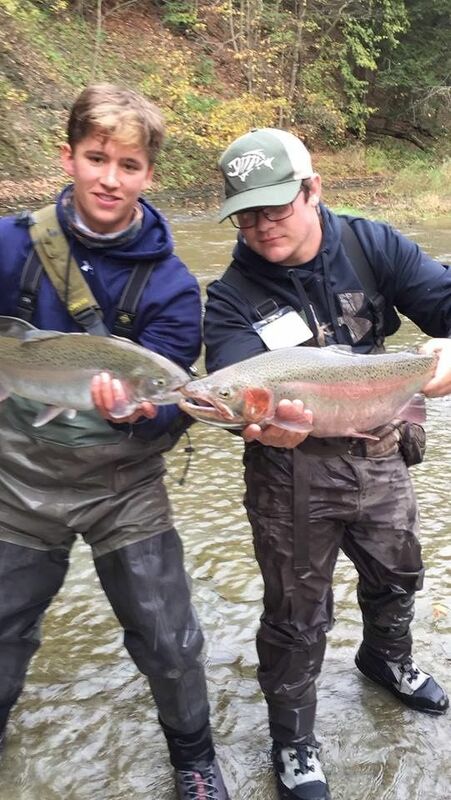 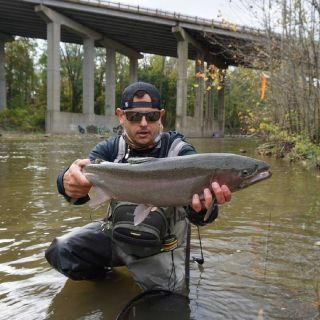 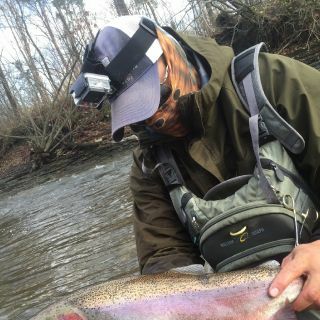 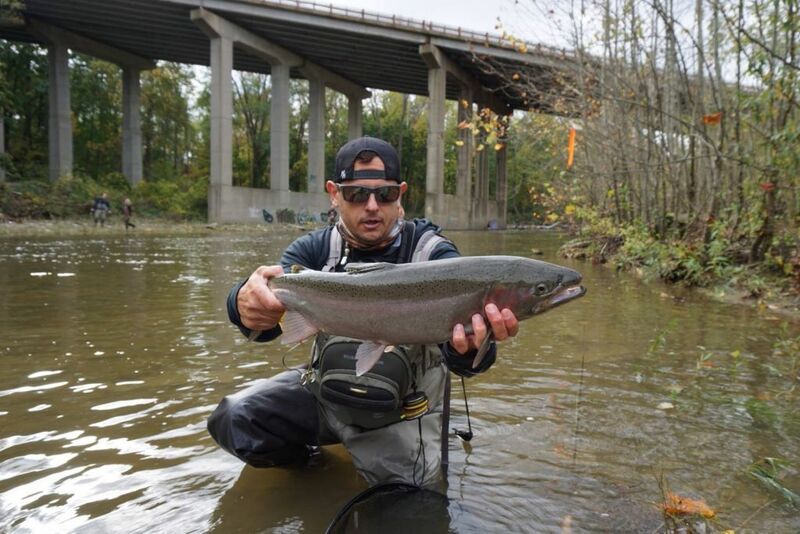 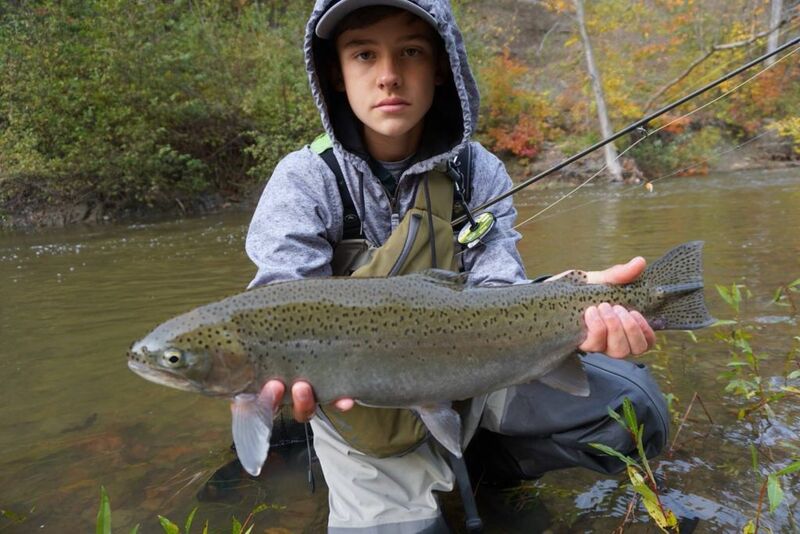 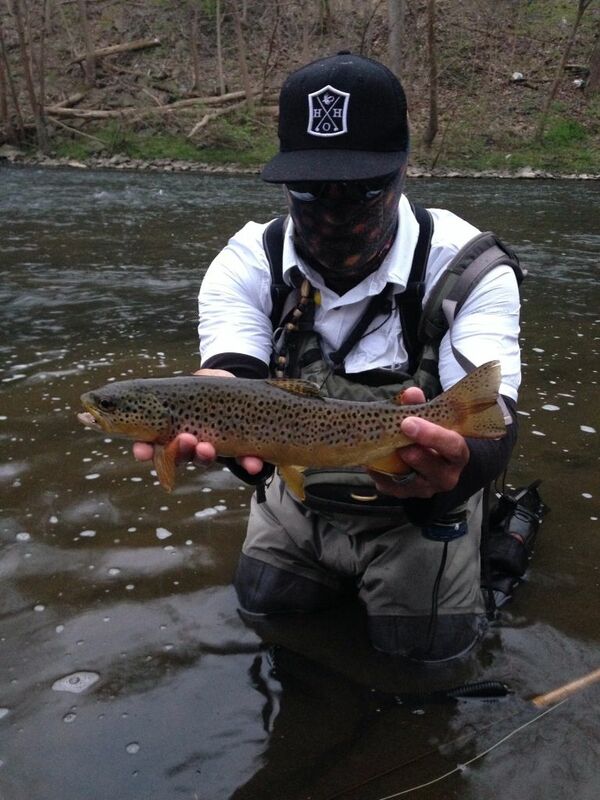 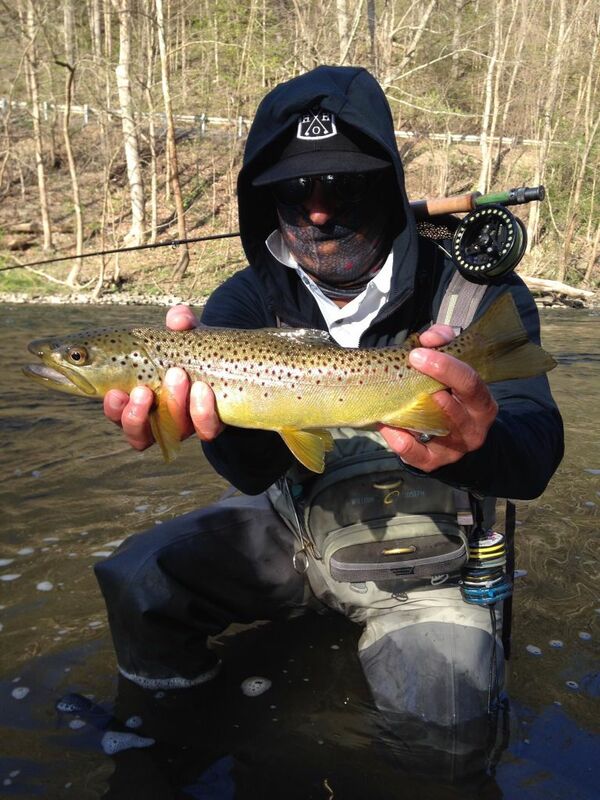 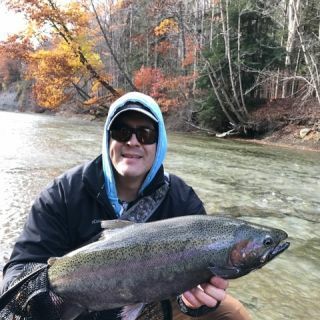 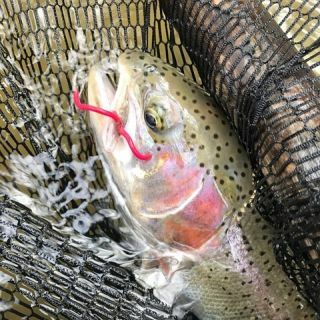 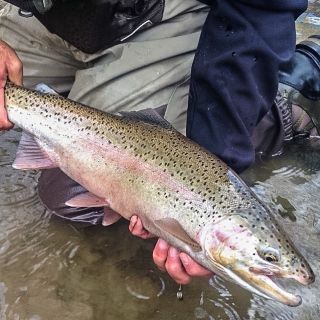 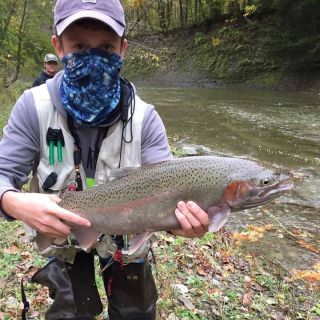 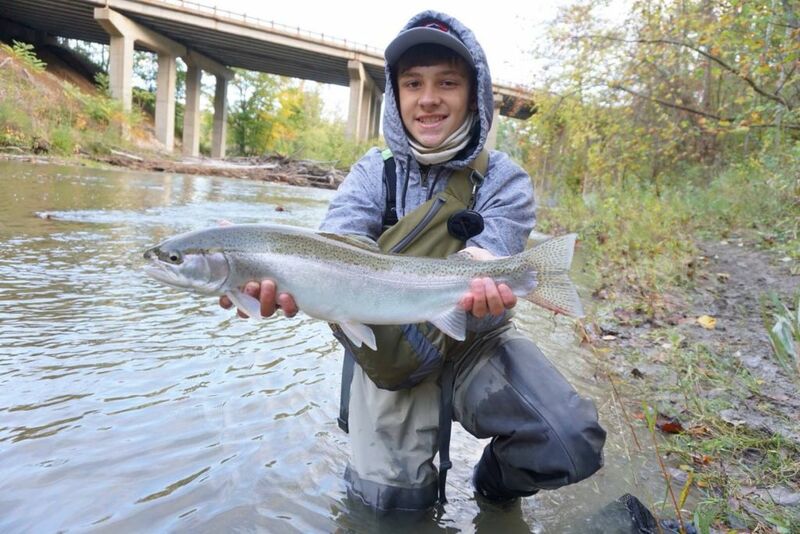 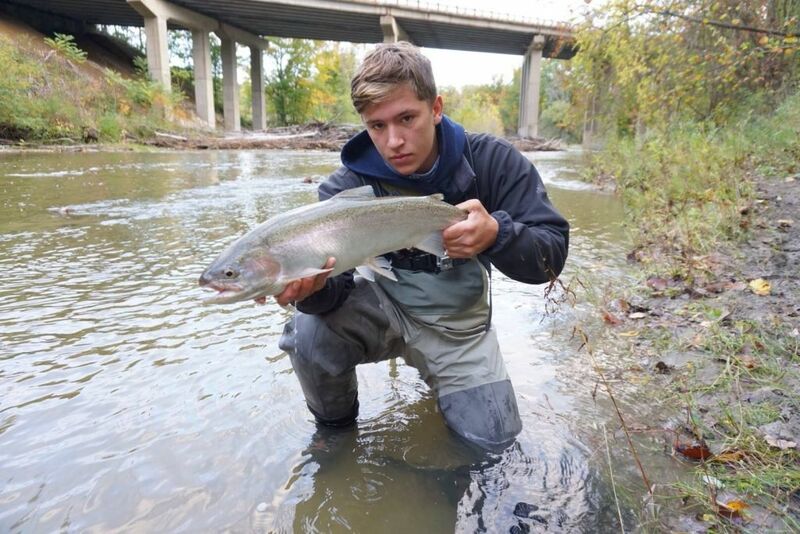 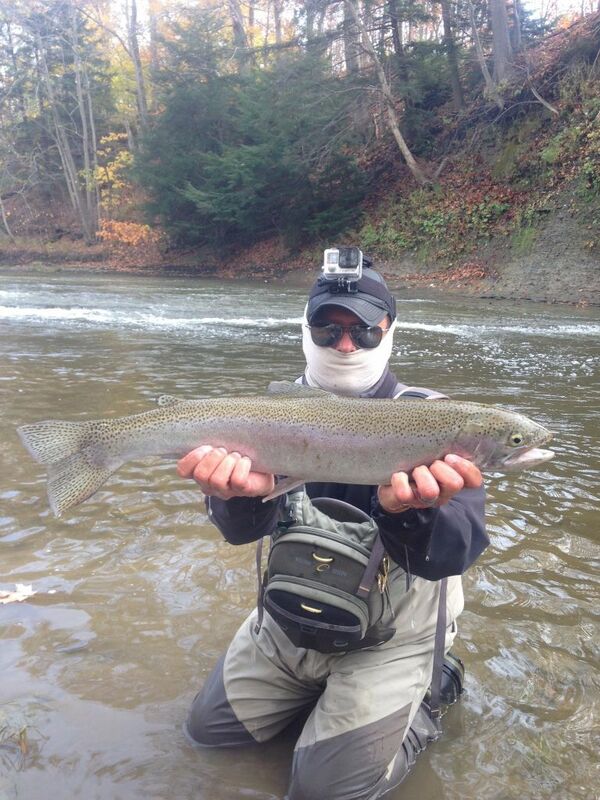 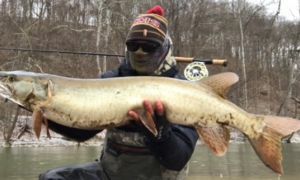 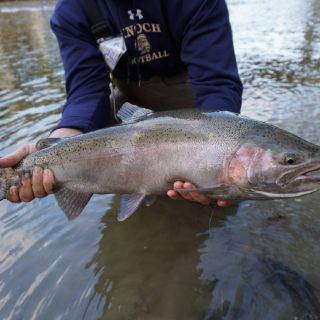 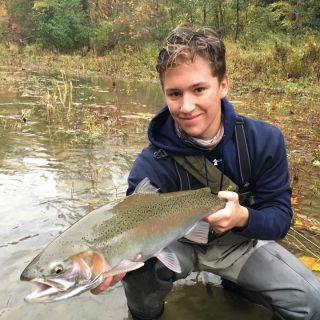 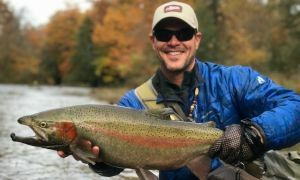 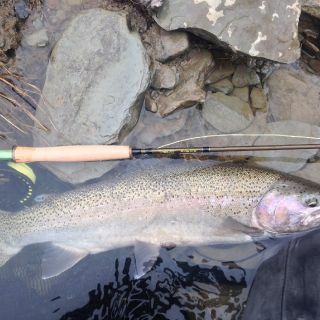 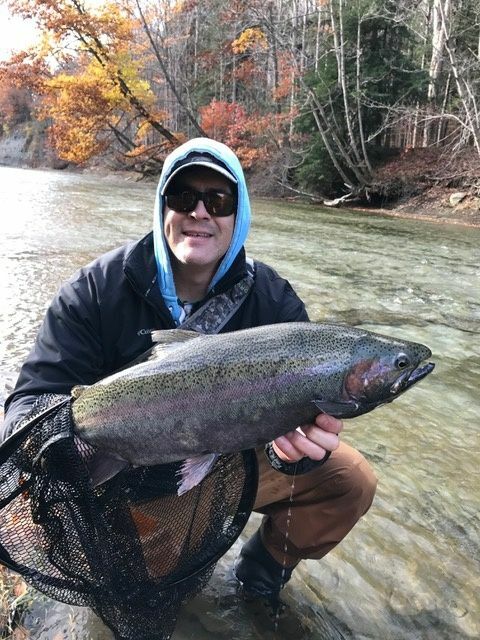 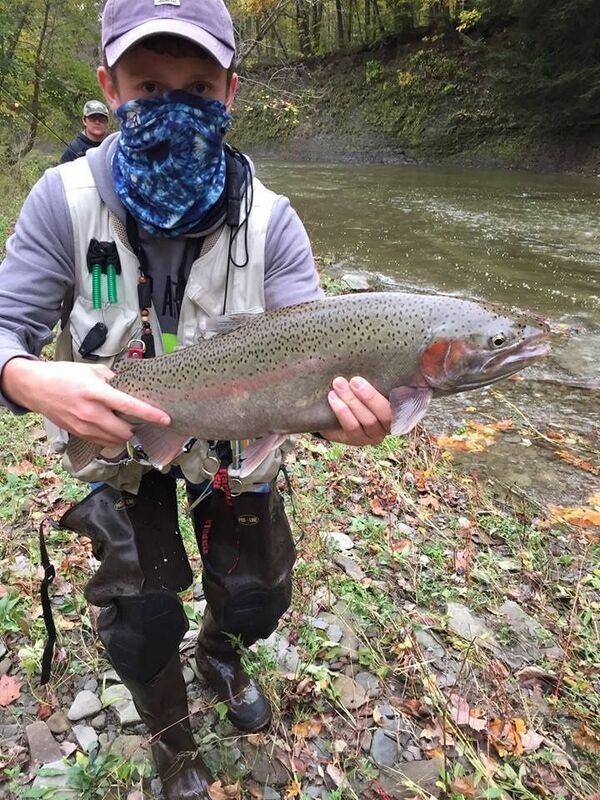 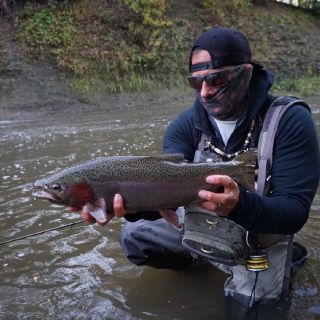 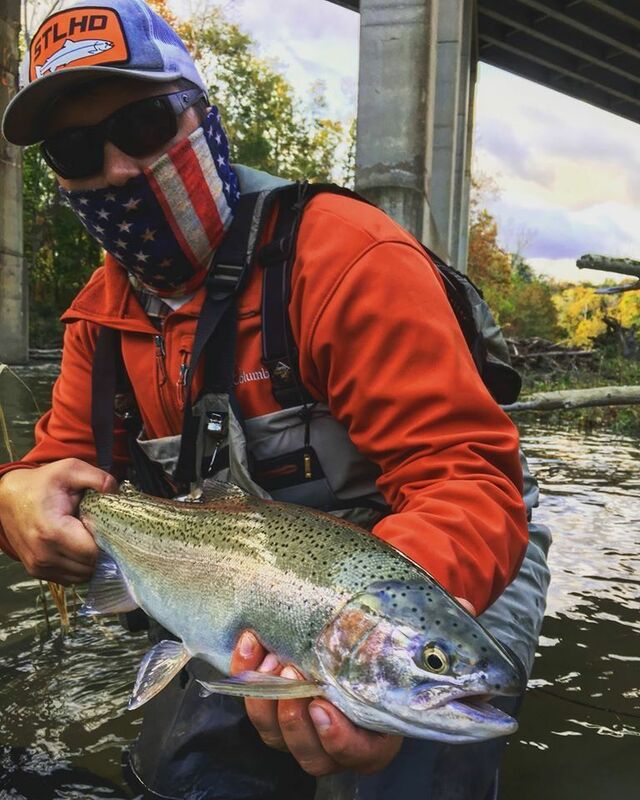 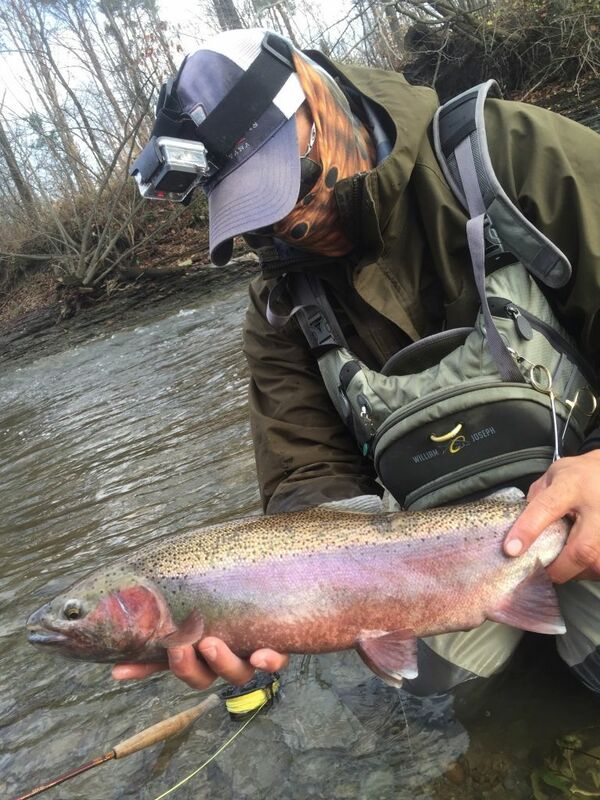 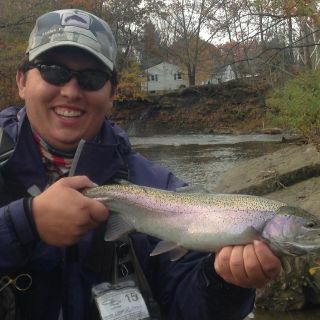 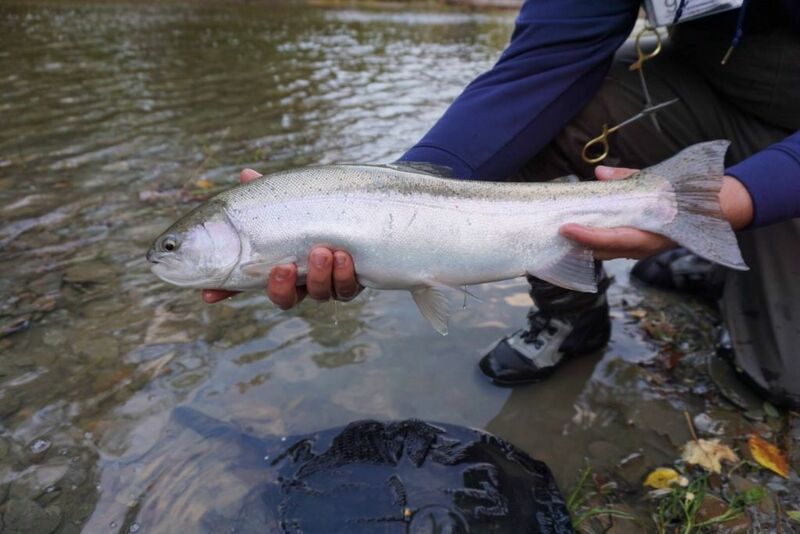 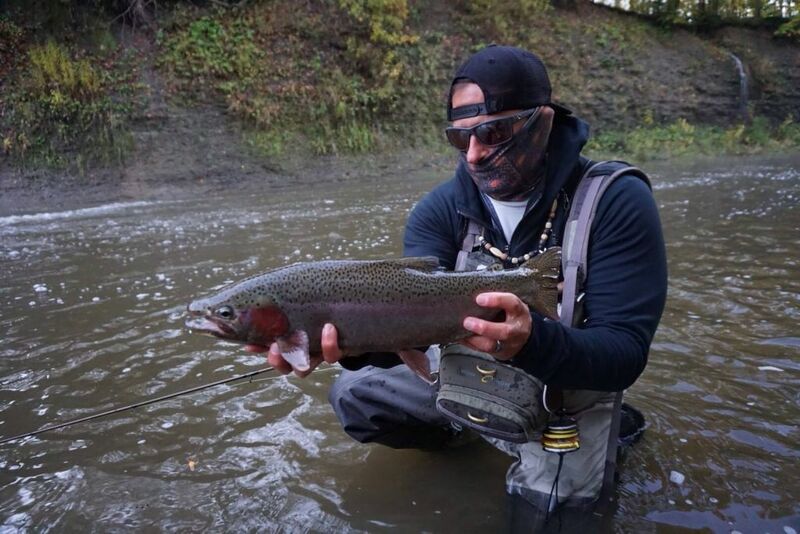 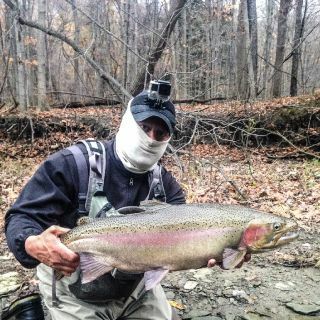 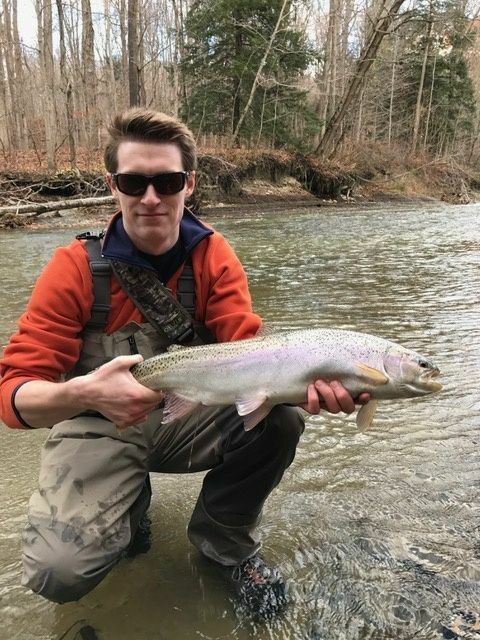 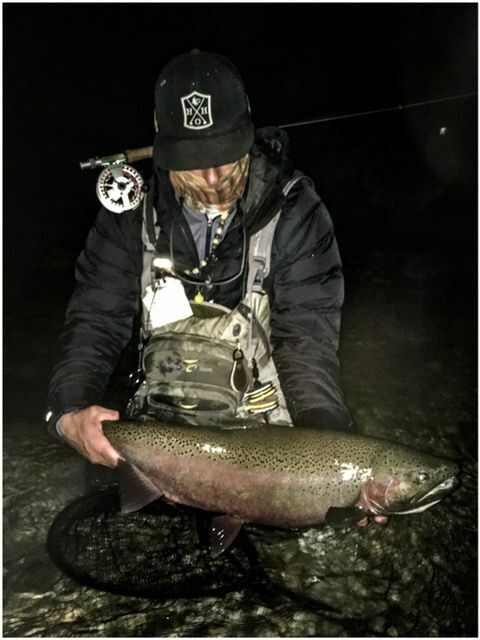 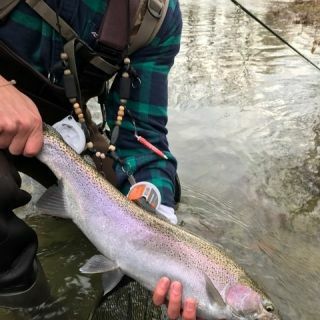 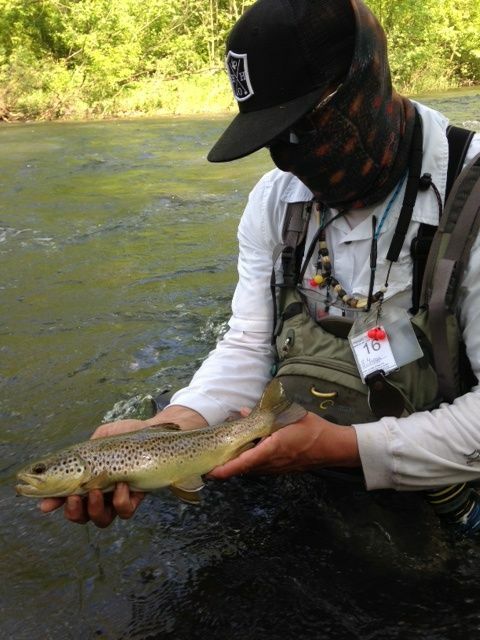 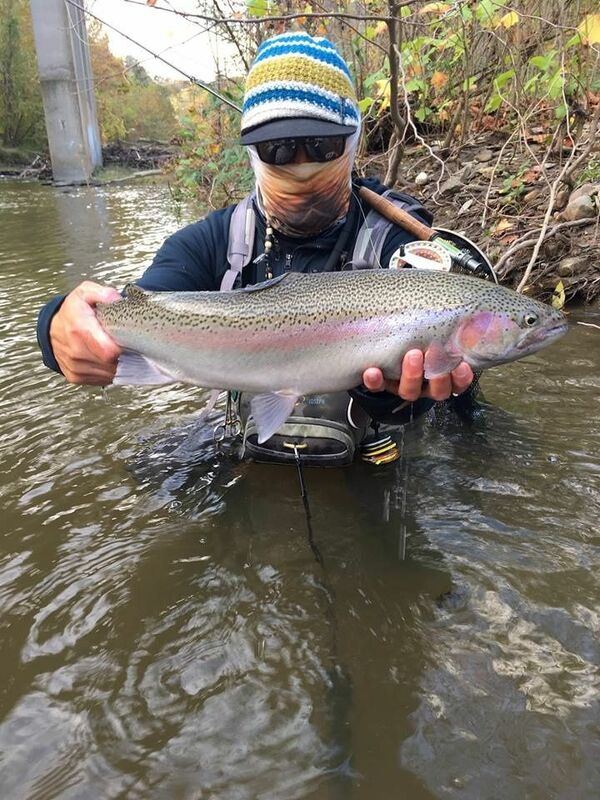 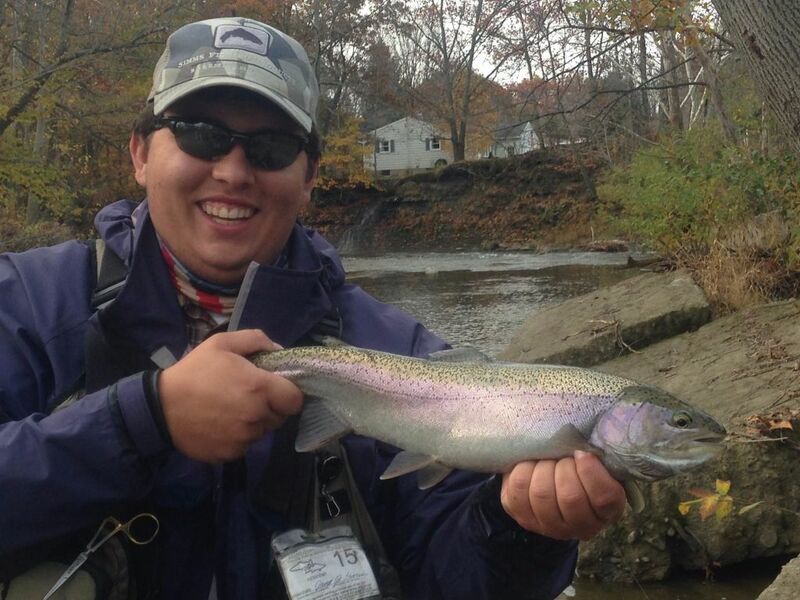 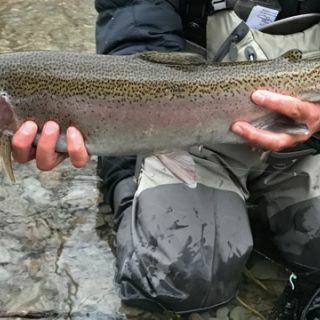 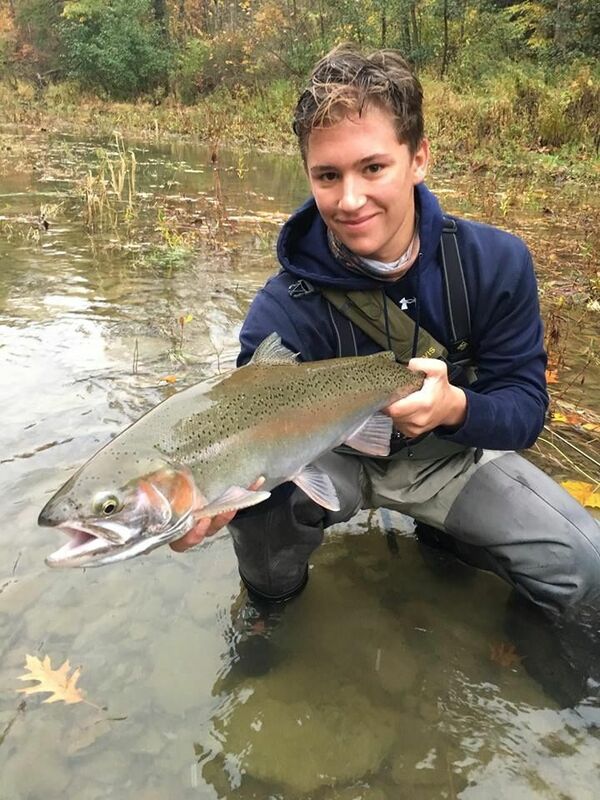 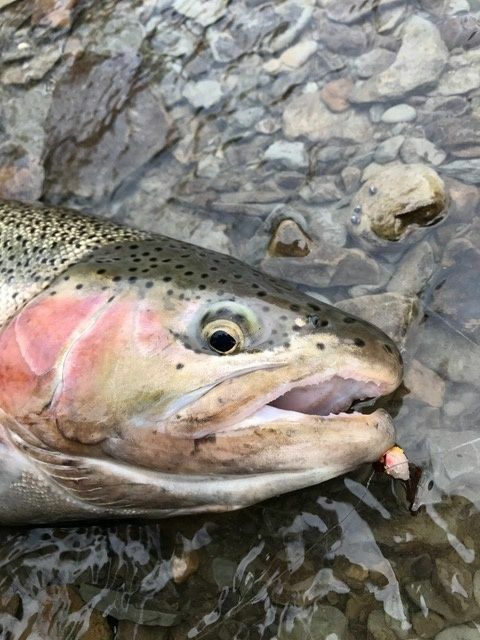 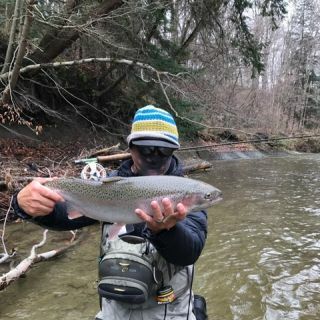 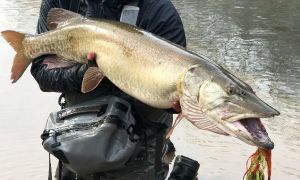 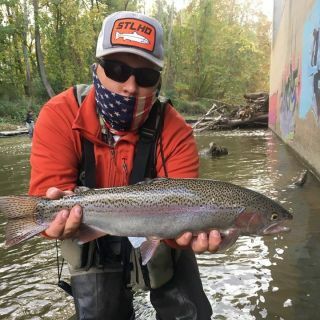 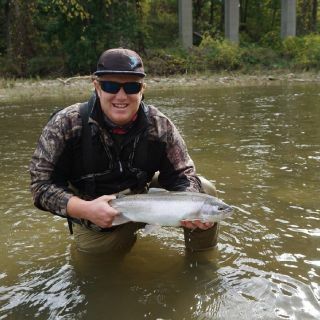 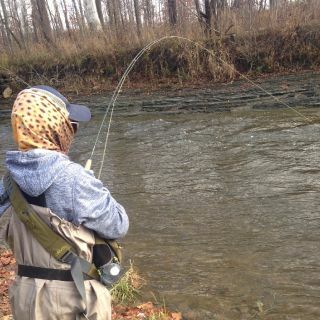 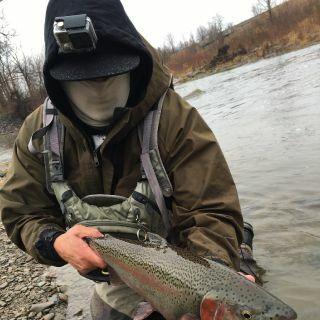 This profile has a special offer for "dreamers"
We are experienced fly fishermen specializing in the tactics and techniques of catching Lake Run Steelhead and Brown Trout that migrate into the Lake Erie tributaries in the Fall and Spring. 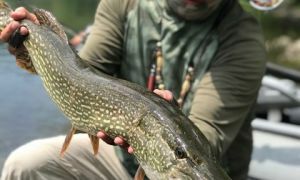 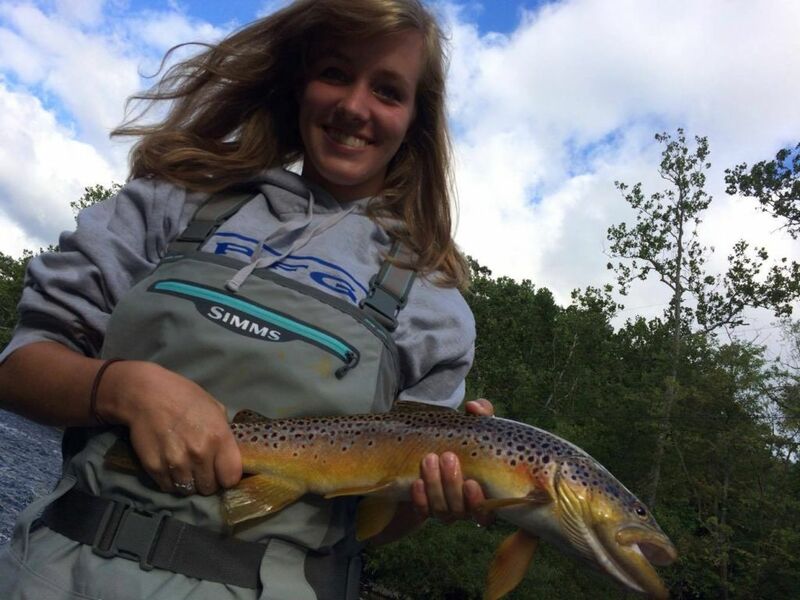 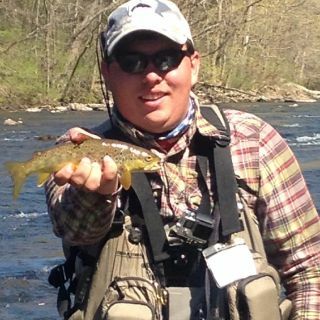 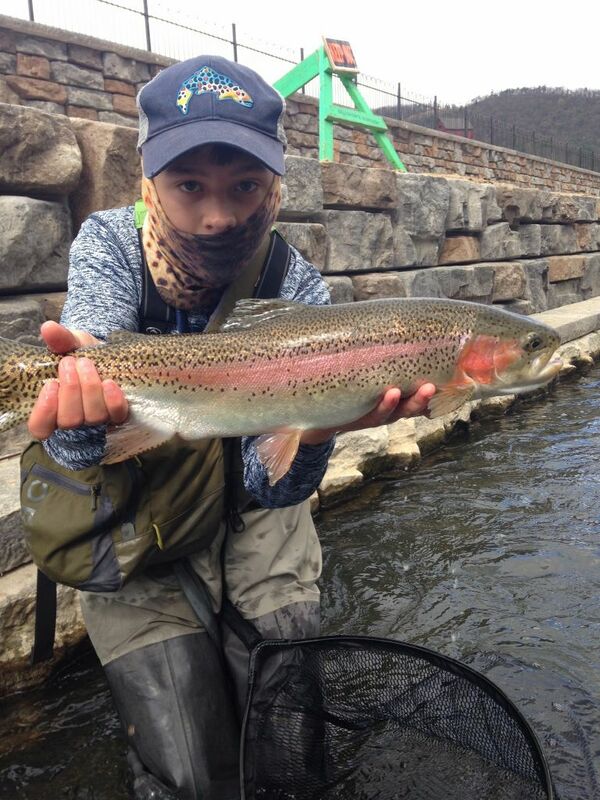 Guiding experienced and novice fly fishermen on some of the most fabled waters in the East. 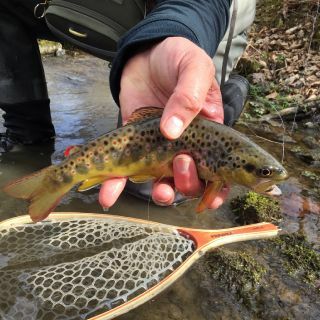 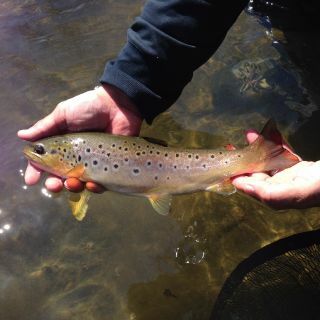 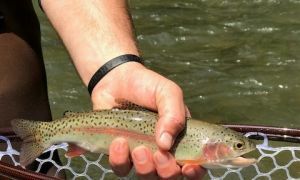 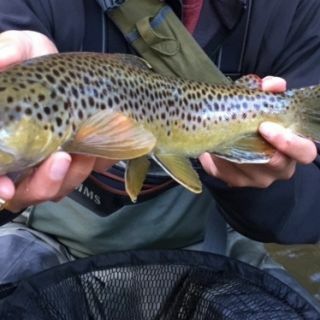 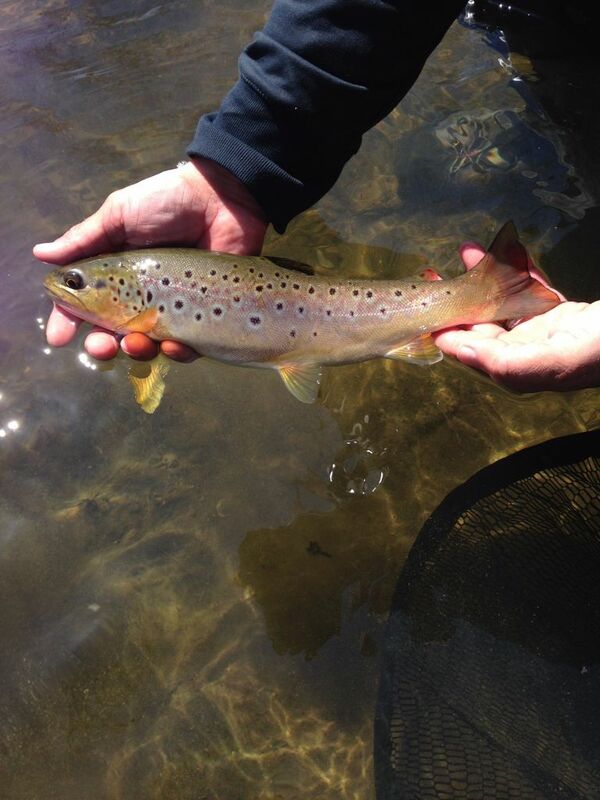 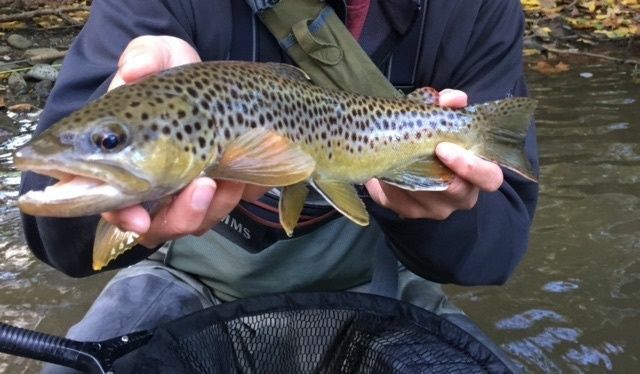 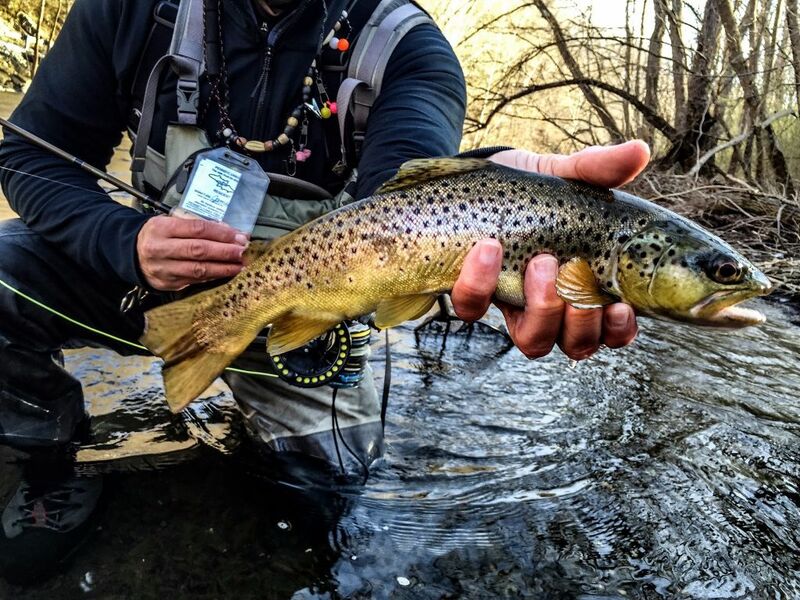 Stream bred Brown and Rainbow Trout flourish in the limestone waters and we fish for them with a wide assortment of nymphs, streamers and dry flies.